So sorry for not adding these last few. I've put them on my to-do list which I'm writing on a very large piece of paper in large letters (so I can see them) with comments in red about my general lack of usefulness recently. 'Could do better' was a mainstay of my school reports. 'Will try harder' was my usual reply. "The Chalice of Souls" is a two-mission mini-campaign and a loose sequel to skacky's 2014 FM "Endless Rain", though I can't say how as I played that FM a couple years back. It can be enjoyed on its own, though if you haven't played Endless Rain, I don't know why you shouldn't unless you really hate rope arrows for some reason. Anyway, the story goes that Garrett is looking for some kind of chalice that is hidden in a very well-hidden brothel. He doesn't know much beyond the neighborhood it apparently occupies, so the first mission starts right as Garrett is about to begin scouting the area. The setting of "Chalice" is initially similar to "Endless Rain", placing you right in the middle of a towering gothic cityscape, but this time in the midst of a snowy winter. You won't be roping and climbing all over the place immediately, though. The on-ramps to the Thieve's Highway are actually well hidden, so to begin with you'll be exploring the streets and the wide, frozen canal. It shouldn't take too long to discover your immediate goal, but you'll naturally need a key. You're helpfully told exactly where to find it as long as you have an eye on your map, but to get there you have to take the Thieves' Highway. Figuring out how to access it is the first real challenge of the mission, requiring careful observation and some clever jumping and climbing, and it's likely that the first entry points you'll find will only lead to one of the ample side areas surrounding what is ultimately not a huge portion of The City at least horizontally speaking, though'll you'll need the loot anyway. The entire edifice is exceedingly well-constructed and thought-out. There are plenty of tantalizing open windows and ledges that aren't accessible when you first spot them, and even routes to high-up places that are more easily visible from angles widely distant from the point of access. Once you're done with the initial area things could be pretty smooth sailing directly to the brothel entrance provided you have the prescribed loot count, but if you're playing Thief you'll probably want to explore this substantial underground section and at least try to find the hidden areas mentioned in an easily-found letter. I won't spoil anything except to say the hardest-to-find one is probably the weirdest, which is to say the best, so just keep an eye out for places to rope up to even after you've left the city behind. Exploring shouldn't be too strenuous as the whole complex becomes pretty interconnected once you get going. Once the second mission begins and you're inside the brothel things are going to be pretty tough, especially if you're not using your blackjack to shut people up. Just getting out of the first couple of rooms was a real challenge for me, what with some tough guard patrol routes and stationary placements, not to mention all the civilians roaming around. The floors are amply decked out in marble, though thankfully you can at least spare your water arrows by snuffing out candles with your fingers. While there are more than a few dark moments in the first mission, in this one the creepiness really comes to the fore. Aside from the suggestive combination of great opulence and great age (red curtains and spiderwebs are used as drapery), it quickly becomes apparent that this brothel has a much older history. If the stained-glass windows and occasional haunted whisperings don't tip you off then the readables will spell it out for you. Yes, this brothel is built over ancient ruins. Why not? Getting into the deeper ruins--a pretty huge, partly flooded are--will require a bit of a scavenger hunt, to be prepared to check odd corners and climb on top of things. The ruins themselves were once occupied by Keepers, but now by craymen (critters I happen to love), and if they feel a bit empty it's understandable given the constraints under which this mission was made (as a contest entry), though the architecture--towering pillars and arches suggestive of antiquity rather than the gothic, and cool things like ruined bridges and a large flooded natural cave area--is never less than impressive. Overall this is a great two-map pack that serves as a worthy follow-up to one of my favorite FMs. Everything including the brushwork, texturing, lighting, and atmospheric sound is top-notch, and the amount of details, flavoring, and side areas are more than enough to flesh out the experience and keep thieves occupied, even if certain parts are slightly more fleshed-out than others. Here's a two-fer. This is fun! I have a long weekend so I might do some more, and I'll try to pick missions that haven't been reviewed yet. 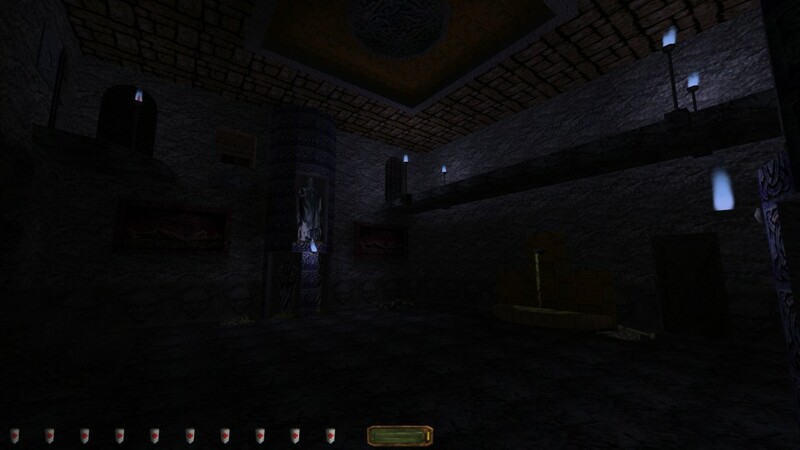 "Bloodstone Prison" is one of those fan missions from the early days of Thief missioncraft that I've seen consistently cited as an all-time classic, including this interesting old thread here on TTLG. The setup is that Garrett is drafted to recover some items from an abandoned Hammerite prison that is currently overrun with the undead. In a cute bit of implied storytelling the mission starts you off facing a campfire under the night sky, with the prison's front gate just around the corner and a couple of haunt archers right behind it. It goes without saying that you'll want to enter the prison another way. This initial outdoor area contains the only bit of fan mission jank I found, namely the terrain which, aside from not being exactly gorgeous, is the kind a player might climb on top of hoping for a secret or an alternate path, but instead netting only a faceful of skybox. I'm inclined to be generous though since this is an early FM, and anyway I've seen this sort of thing even in much more recent ones. Your first entry point into the prison will be the living quarters. Sneaking around initially shouln't be too difficult, as there are some generous shadows in the hallways, not to mention plenty of completely dark side rooms. The actual prison is another story. It's similar in design if not layout to Cragscleft, but what with the several blocked-off or partly-flooded areas and partly destroyed architecture of Bloodstone's cell blocks, your movements will be much more constrained, and the undead Hammerite guards more difficult to evade as you progress. I managed to sneak around most of them but not without messing up a few times. The difficulty progression is pretty smooth overall but I found that a few areas presented particular and not unwelcome challenges to observation and planning, not to mention quick movement once the planning was done. Aside from the outdoor area the mission is mostly pretty well-designed and built, with the highlight being the cell blocks and the areas immediately following them with their mossy stone that speak of decay, and all kinds of broken structures. It truly feels like a forsaken place only the undead would dare to occupy, but there are also other cool details like the fact that zombies are almost exclusively found in locked prison cells, guarded by haunts. It's chilling to note that the hierarchy between jailor and prisoner is preserved even in death. At this point I guess I have to admit this isn't my favorite undead-themed mission—if I'm being honest I wouldn't even rank it as high as the undead missions in The Dark Project—but it's a good one. The theme, mission objectives, and overall progression are well-executed, and it presents a welcome challenge on multiple fronts. If you're a fan of undead missions like I am it's not to be missed, and even if you're not really it's worth checking out if only for its place in Thief history. Given the accolades it's received you might end up thinking I'm underrating it. 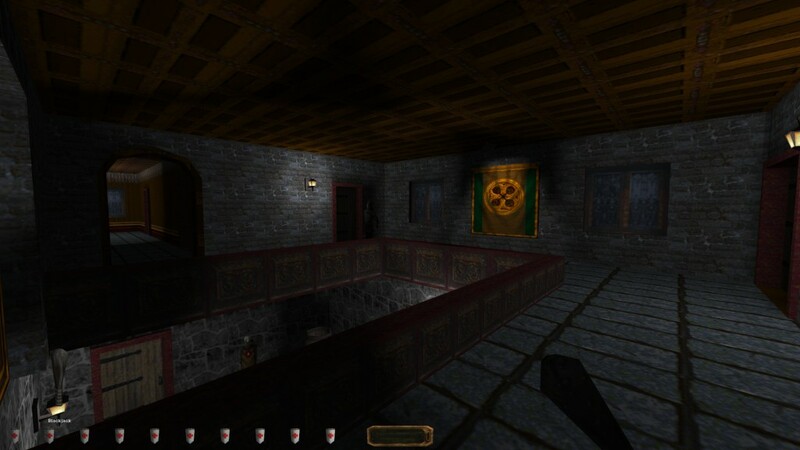 "A Gathering at the Inn" is a remake of "A Gathering at the Bar" (the legendary first Thief fan mission ever and the reason people even got to use DromEd) that also serves as the first mission of an as-yet-unfinished campaign called The Circle of Stone and Shadow, which I suppose at this point is something like the Mordeth of Thief FMs. The setup is simple but already hints at a much longer story. Dante, a thief in The City, has gotten himself into a pickle that can only be sliced by signing up with one of the City's new Wardens. I'm assuming this is taking place sometime during or before the events of The Metal Age since Truart is mentioned, but he's not the one writing your orders. Said orders turn out to be a seemingly lengthy list of objectives—scepters to steal, plans to sabotage—but conveniently the targets happen to be staying at the same inn on the same night. Yes, your ingenious Warden has everything to do with that. You start off in a snowy and very pretty little section of The City just a short walk from the inn. The guard presence outdoors is a mere token so you won't have any difficulty scouting out possible entrances, of which there are several. There's a strong argument for the sewers, which you'll know if you pay attention to your notes (though the number of "hints" you get is tied to difficulty level), but I personally went for a more unorthodox method, which was to stack some boxes on top of the little bridge connecting the inn's second story to the apartments so I could reach the attic window and bust it open. The mission isn't much more linear once you're inside, as you can tackle the guest rooms in any order. I imagine the forced ghosting as far as the guests are concerned could be a hang-up for some players, but the inn has some nice features that should make things go more smoothly if you seek them out. If there's one thing I'd mention by way of criticism it's the city outside the inn. The outdoor areas are quite good-looking in terms of lighting and texture use, but the few indoor areas you can access are a bit of a missed opportunity. I wouldn't expect a whole lot of them in what is after all a light introductory mission, but the ones that are there feel a bit under-detailed and un-lived-in. It's not a huge deal but it makes things like stumbling on an obviously mission-related item before you even know where to use it feel a bit artificial. Really though there's no reason to not play this mission unless you're allergic to unfinished business. By itself it's short and sweet and nothing to make you sweat, and provides a good deal of freedom of approach for such a short mission. I'm certainly interested in where this is going, but it's too bad that in 15 years only one follow-up has seen the light of day so far. I've read that it doesn't play nicely with modern computers, though I have not tested it myself. Any experiences? Sorry for the delay and thanks for the reviews, lpowell - these are added. Stab my back and I’ll stab yours, I suppose. 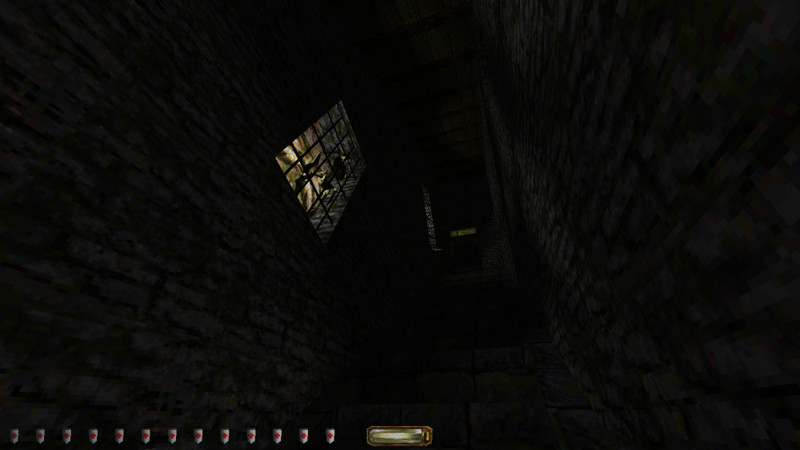 Betrayal (by Fieldmedic) is a very vertical mission, starting with a desperate ascent out of a mountain prison before sending the player up a haunted tower. Sadly, the end result is a bit clunky. Our hero begins locked up in a Builder prison courtesy of a backstab. As he’s resigned to being stuck there, however, a massive earthquake strikes, destroying part of the prison and apparently turning the Builders into haunts, as well as giving out hero a chance to escape. This early part shows the general frustration I have with Fieldmedic’s missions: The slow creeping through a foggy and recently wrecked and haunted mountain prison is exciting, and the creator does a good job of making the player feel helpless and vulnerable. But the mantaling and tight patrol routes result in the player having little room for error, creating a fair bit of irritation. Other little irritating bits like that pepper the level, making it hard to get immersed in the atmosphere at time. One example is a sin that Inn Business fell too: making ordinary items count as loot even though they aren’t counted as loot in most missions. Other than that and some irritatingly placed wine bottles, the loot is clear, but backtracking is difficult and often tedious. My main gripe is a poorly placed priest at the end, who stands on a staircase facing a room and never budges. You don’t have a blackjack, but if you don’t find one of two gas arrows (which are waaaay before this point), tough luck, hope you don’t mind the knock to your stealth score. The mission has this vague lack of direction to it, with the path in theory being clear but the actual route being muddled. It’s annoyed, because the mission does have some good bits, such as getting into a locked room near the top of the tower. Not hard, but I haven’t seen this method in The Dark Mod. All in all, a frustrating mission with some good ideas and atmosphere. If you can’t deal with the player unfriendliness, Not Recommended. I'm back. More Fieldmedic now! The most obvious difference from other missions is obvious from the title screen: It takes place in broad daylight. This results in the graphics looking a tad artificial, but I admit I liked it. The idea I think was to move towards more social stealth like you see in the Hitman games, as you now don’t fail the mission for being caught per se, but via a “tension gauge” hitting the red, which it will do if you;re caught wandering around areas you shouldn't be in. The problem is that you spend the vast majority of the mission in places you shouldn’t be in, and the fact that everything is so bright makes it so that NPCs can see you from across the dang map, so the whole thing is much more irritating than it should be. Not to mention that the tension aspect is broken. I knocked a guard out, and of course the meter goes up for a little bit. Then it went to green and since I was somewhere I “should” be I just wandered around with an unconscious guard for a bit and no one cared. I had something similar happen when I noclipped into a barm that’s apparently optional but still lets you in if you can pick the door. Turns out that I broke the tension again and could wander about unmolested. It’s annoying, because the mission has plenty of good ideas and moments of horror. The irrigation tunnels are sufficiently creepy, and the idea of traveling through a hedge maze hunting for loot is such a good idea that I’d almost play a mission with that concept alone. I also liked how the mystery wasn’t flat-out explained in the end, it’s not complex, but there’s no summation spelling everything out for you. Even the protagonist’s actions at the end, while scummy, are at least different, even I fell that there needed to be more build-up. The issue is that all the good stuff is buried under unneeded irritation and lack of direction. This might be one of the few missions that’s harder on easy and normal than it is on hard, because the latter at least dumps you close to where you need to be at the start, as opposed to the other two. All in all, if you can work around the kinks, it’s certainly one of the more interesting missions. Otherwise, Not Recommended. Reviewing the 20th Anniversary Contest missions as I go through them (Also I'll put the 1-30 scores here, although my final ones might change in the end depending on the quality of later entries). The Keeper symbol seems a bit of a taunt on a building you never access, but I guess it adds to the mystery. The meat of this level isn't the streets, but an Opera House, Warehouse, and the Mage Guild that is your target (the latter having a great surprise entrance). The Opera House and Guild are very unforgiving stealth-wise, with lots of brightly lit rooms and tile floors everywhere; it's practically a platforming puzzle at times to exploit the periodic carpeting to sneak up on/evade enemies, and the Guild gives you some buffed-up guards and other alternative enemies and surprises to deal with on top of that. The Warehouse is a bit more traditional and shadow-filled, which makes the mid-game diversion to it somewhat of a breather from the rest (beyond a couple of helmeted guards anyway). All of these areas are relatively complex and make up for the simplistic structure of the streets quite easily. One of the more lavish sights in the level. The progression is quite puzzle based, with you finding items and notes from certain people to get clues of what your next action should be, and the Mage Guild itself is mostly comprised of puzzles outside of the guards. After the start I did work things out fine, but, in the Guild in particular (with one exception that serves as the central puzzle of the place), I mostly solved things by using items in the only receptacles around rather than having an idea of why I needed to. The base story is fine and communicated well with your progression through the level, but the messages you find are oddly utilitarian in almost always being a puzzle/progression hint; that's not necessarily bad and at least makes you pay attention to what is wrote in them, but I do feel a few more texts could have fleshed out the setting a little, especially as areas like the library seem to have no books. In general the level is oddly empty loot-wise, and, while it does have some rewards for exploration, several areas seem to have nothing of value in them. Despite my misgivings near the start, and other issues I had with it, this is a very good level overall that throws in several surprises and a variety of situations (although if you play in the listed order it's a pretty rough starter map difficulty-wise), and it's likely to end up on the higher end of my final rankings. Last edited by Mman; 11th Dec 2018 at 12:32. I don't want to start a row or anything, but I was just wondering if this thread should be divided into several threads. T1/Gold FM's, TDM FM's, T2 FM's, and T3 FM's. Just a thought. There is a catalogue in the OP. It's a lot of work, do you fancy doing it? As well as dividing up the posts you would have to read every comment about the reviews and make a decision as to which comment belongs in which new thread, something that may not always be as clear cut as you initially think. Also once done people would be guaranteed to post in the wrong thread and it would be up to Nickie to correct any mistakes, time that she just not have, so best leave as it. Hmm. 118 pages. It's not something I'd like to tackle, unca, it would probably take months of full-on work. I doubt SneakyJack thought how huge this would grow when he started it. It wouldn't be impossible but I suspect Al_B would start screaming at me for mucking up the data base as tends to happen when adding to the Mission by Type thread. I could see a benefit to separating T1/G/T2 missions though. If someone did it then categories for each game would be nice. To help I'll list the platform from now on. The majority of this level is large, open, very vertical city area in the vein of stuff like the majority of Melan and Skacky's work (and given the current use of pseudonyms I wouldn't be surprised if one of them was behind this one). It's very intricate and interlinked, with a lot of the buildings accessible in at least some form, and each area frequently flows into multiple other ones in organic ways. 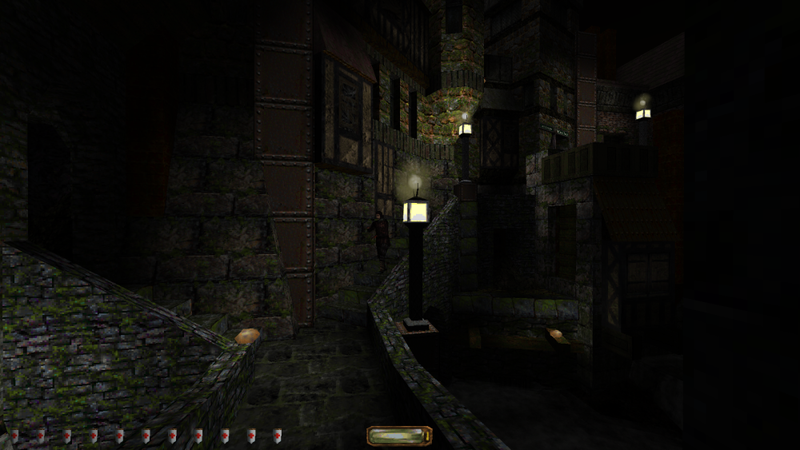 The level of detail is high and almost nothing feels neglected (one sewer trek is a little visually repetitive but in the overall design it's a tiny optional part of the map anyway), and aspects like the lighting and use of decorative objects is great too; that sticks out even more when this is only using standard Thief objects while similar levels have used multiple custom textures and objects. As an extension of the design the gameplay is quite open-ended and the setting can be tackled in almost any order; with aspects like the canals you can safely cross a lot of the map right away, and I'm sure there's some other ways around that I overlooked. There's plenty of shadow in the streets, and, while one or two interiors have some trickier lit and tiled areas there's a generous amount of equipment so it's pretty manageable, but there's still a decent amount of variety in situations along the way. The guards in the target house seemed to have some jacked up alertness but there's plenty of ways to approach things. After the toughness of An Enigmatic Treasure I guess most levels following it would seem tame in comparison though. As an open city map a big aspect of the map is the exploration, and even after most of the threats are cleared there's a range of areas both above and below the street level to discover (and probably some ones I missed). One objective did end up confusing me with it's wording but it's mostly my fault. The story is threaded through the level a lot, with a range of sub-plots to uncover that frequently feed into each other or hint at certain areas or secrets, there's even a little custom voice acting that fits well when used. If you're used to this kind of city level there's nothing very surprising here, but it's extremely solid. For a general Thief experience of having an open city area to rob, I'll be very pleasantly surprised if more than one or two other contest levels even come close, and I can see this being a top 3 level for me in the end. The Pagoda structure makes a non-standard centrepiece. The second level is an exploration/horror map in the Bonehoard vein (including a segment or two that seems a clear homage to that level). It's bigger and more complex than the first map, such that the first map almost feels like an extended intro in comparison. After a comparatively short lead-in of traps and puzzles (which also introduces the interesting element of mobile lanterns) to find some tablets it opens up into a large cavern that reminds me a lot of the latter part of Chalice of Souls, with multiple themed "towers" and some off-shoot areas to explore for what you need to access the finale. There's a large range of tasks and some interesting edited enemies to spice things up and create a surprise or two. One or two items seemed to have simpler tasks attached than others, but given the size of the area there were probably some technical limitations in effect. The "boss" felt a little anti-climatic (despite the chance to spice it up by going for some extra loot), but it does the job of wrapping up the given backstory. I did have a puzzle break (an optional one at least) and require me to restart, but it was near the start so only took me about five minutes to get back there. At it's best (namely the second half of level 2), this has some of my favourite moments of the levels so far, but it's also a little more inconsistent, with some less interesting designs along the way. It mostly has a great sense of atmosphere and provides a lot of different obstacles and puzzles as it goes along. Another good entry with no major issues. The guest that wouldn’t leave, I suppose. Not an Ordinary Guest is Fieldmedics’ most recent mission (release-wise anyway, as A Night to Remember has been redone and rereleased), and another ambitious but more traditional entry. This time, you don’t have three difficulties, but three playstyles. All three place you in an upper-class inn, but one has you playing as an assassin to take out a cheating husband, one has you just robbing the place like normal, and the third has you assuming the role of a saboteur out to wreck the inn’s reputation (and interestingly the notebook the main character has more or less says that this is a sequel to the now taken-down mission A Night to Remember). While they don’t exactly correspond to normal difficulty levels, each has their own challenges. Assassin has the simplest objectives: find husband, kill husband, but is also strict about you not being seen. 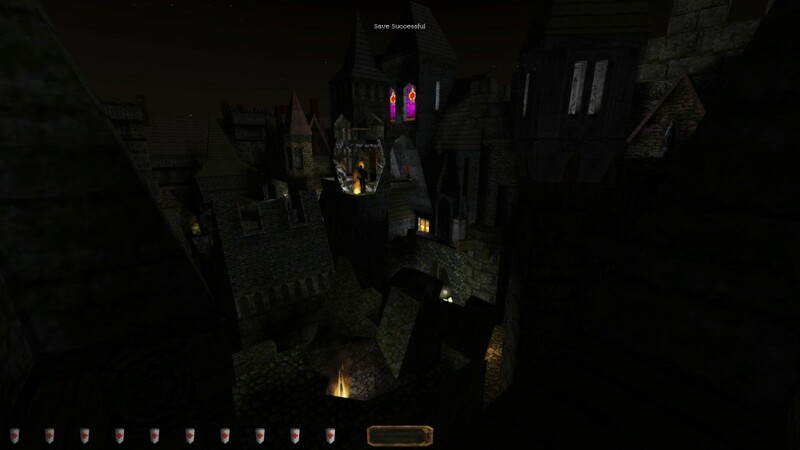 Thief is more forgiving of mistakes but has slightly more complex objectives. Saboteur has the most objectives, but the stealth is the easiest, bringing back the tension meter from Reap As You Sow. It’s done much better here, as it only makes you suspicious if you’re in areas you shouldn’t be in, or if you’re spotted carrying around lockpicks. The layout is well-done. 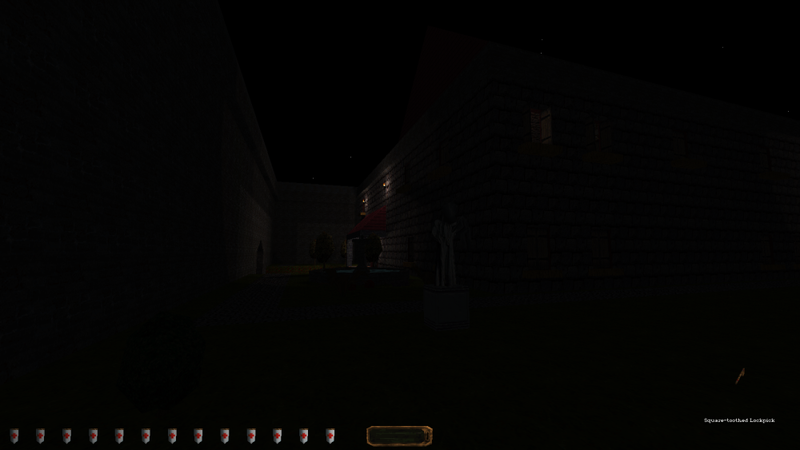 There's a small cityscape outside the inn, and while there’s not much to steal out there, it does give a wide variety of entrances to the inn, from mounting onto the balcony to swimming through claustrophobic and maze-like sewer pipes. It strikes a good balance, and doesn’t fall under empty space. The atmosphere and layout are both good as well, even though they lack the pure horror of some of his earlier works, barring the basement due to the very creepy music. It does a good job of conveying that you really shouldn’t be here. There’s a bit of empty space in the inn, namely the attic and sewers, but it’s mild. Like most of Fieldmedic’s missions, its hard, but unlike them it's hard for the intended reasons, usually. Assassin is short but requires you to quickly grab a wellguarder object without being detected, which is easier said than done. Thief is the easiest, but also the most tedious, as you'll have to break into and search almost every room in the inn for the needed loot. And it’s random each game (which is good that he put the effort in, but man.) I feely admit I might have made it harder on myself by missing something, but I’m not sure if it would have helped. Saboteur has the best objectives, but the needed ones are buried behind some mild obtuseness, though not to the same extent as Reap. One requires you to note a random object in another part of the inn and use it (with little indication that this is what you need beyond the fact that you can pick it up), and another requires you to find a journal in a shelf of unreadable books. Nothing major, but it can jar a playthrough to a halt. I also have to question why make thieving a part of this setting, but it’s a mild gripe. All in all, a fun set of missions. Recommended, if you can deal with the hiccups. This writeup contains spoilers if you haven’t finished In & Out. Note that like all my reviews in this thread, I post the same text at my Thief Diaries blog. Designed by FrenchDecay, JarlFrank, and marbleman, this is one fan mission that will knock your socks off. And send them flying, forever, off into the night sky. You’ll never see them again. It helps to know the context to this mission: the Thief: The Dark Project 20th Anniversary Contest. 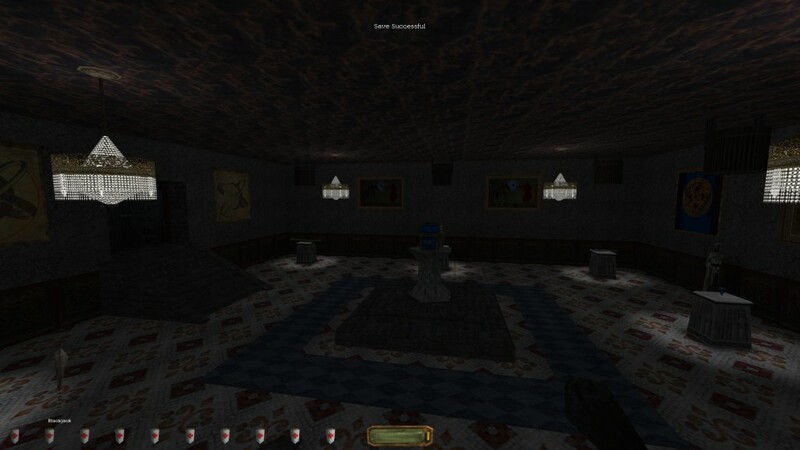 That is, this one was downloaded and played by Thief fans when they were in the mood for some of that Dark Project vibe. And, wow, does In & Out deliver. It starts out with the perfect premise: you’re going to rob a Hammerite temple. Think Burglarly in Blackbrook. No sooner had I stepped out into the plaza just in front of the temple then I saw that oh-so-delicious sight: an open window with a wooden beam above it. I was now called, and any other entryway may as well have had an iron gate surrounding it. Nothing is as inviting as seeing an open window with a wooden beam above it. Once inside the temple, familiar yet eternally welcome Thief ambiance greeted my ears. These cozy sounds nestled in every corner of the complex, changing at just the right moments. The simple objective of nabbing the Hammer of St. Martello is all you have, but curiosity will drive you to explore every inch of this church. There are plenty of nice touches. An irate Hammerite spars mercilessly with a training dummy. Tarius, the Schiminov-using idiot, actually runs the place. Another member of the Order snoozes atop a commode. This makes for a great Hammer mission, and I thought, “How nice and quaint!” Then, it changes on you. So the Hammer of St. Martello has been snatched. Some snooping around reveals that the thieves who grabbed it took off to the sewers. There I went, expecting a brief little foray into a sewer section that would add some extra flair to the heavily Hammer FM. But as I soon as I opened the doorway into the sewers, the mood shifted, and quite literally. Thieves’ Guild ambiance greeted my ears. The flavor became unquestionably Gold, and suddenly I was in a world of metal grating, large levers, and electrical machinery. I was in the Guild! Well, a facsimilie thereof. The church above ground had captured the essence of a Hammerite mission, and now this area beneath ground captured the essence of Guild. (If you want to phrase it like that.) Here were thief NPCs and one of the best readables to be read (the best one is coming a bit later). There was even a slight dash of Cragscleft in a cavern area outside the thieves’ hideout, home to some spideys. This is a great readable for three reasons. Can you spot them? Note that its greatness is tied primarily to what it references. But In & Out isn’t finished yet. No, it’s becoming quite clear that this is no simple in and out job at all, and you delve deeper yet. Within the thieves’ hideout is a hole – the hole – that leads into an ancient crypt. You go from Guild to Bonehoard, and it’s now clear the kind of mission this is going to be. FrenchDecay and co. have made a roller coaster ride of Thief environs. The Bonehoard section is the best of them. There are several delightful sights and details: one of my favorites was a skeleton buried in a pile of rubble, who had dropped a goblet. One area, tight and mazelike, has a couple booby traps, one that is really not fair at all (I mean, there was a tingly noise, but still). The whole crypt could be its own mission: meticulously designed and seemingly endless (I need to go back in and explore more), you think this is In & Out’s grand finale. The cherry on top must be the readable at the bottom of the gigantic center atrium. Short and sweet, it’s one of the best I’ve ever read (and it goes along with the one I mentioned earlier). But the trio of taffers are not finished. Oh no, there are surprises still. There’s a great new scene everywhere you look. 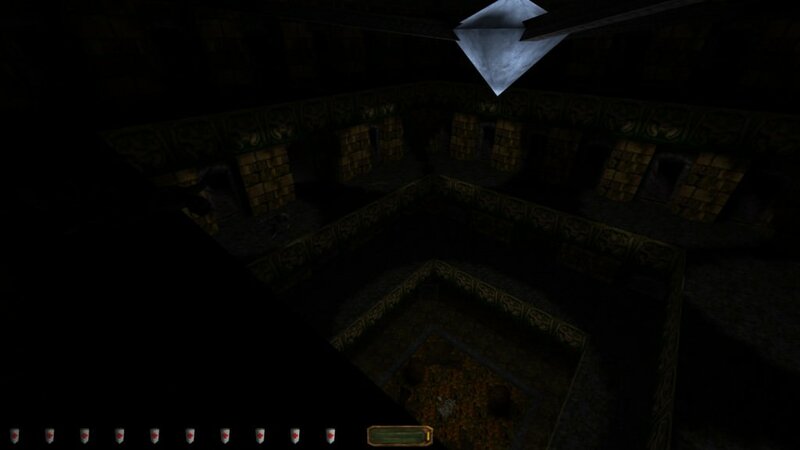 One of my favorite areas from the crypt section is this tight maze-like area. I couldn’t believe it when I first saw the entry to a Lost City styled section. I believe the words that escaped my mouth were “Those dirty taffers!” I said it a few times. I now had no idea where this mission could go. The design wasn’t as detailed here as in the prior sections, but it didn’t need to be. 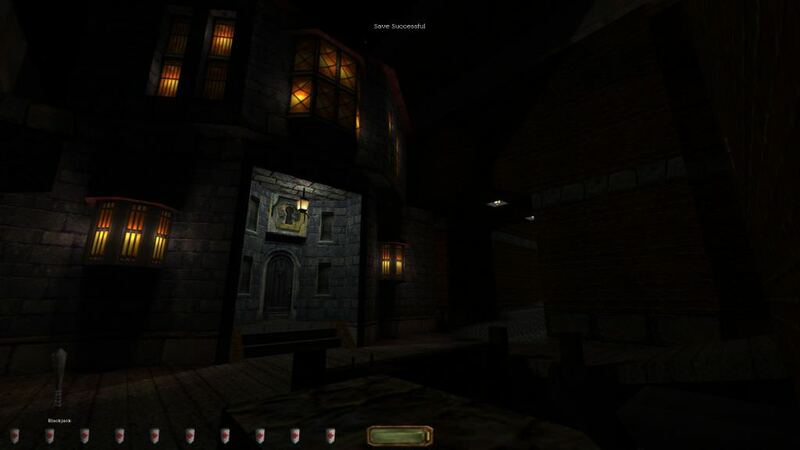 The effect was in the existence of such an area itself – that the authors were now taking you on an even crazier train ride through the world of Thief. I ditched ghosting as I trotted through several large rooms, grabbig loot quick as I fled a herd of burricks on my tail. Oddly, these burricks didn’t belch, but bit, and I was going to have none of it. A brief cavern full of crays served as a nod to the first part of Song of the Caverns, then it was into the last bit of madness these crazed taffers had served up. I almost half-expected it, though I thought, surely not! But here it was: the Maw. Garrett was as incredulous as I. This large area was filled with woodsie wonder: all the sights and sounds you could want from a post-Eye Thief, and as many beasts. Weaving my way between them all, I frobbed the three rocks to open the portal back to the Hammer church. Of all places, it deposits you back in the lavatory, and I woke up the snoozing occupant. (It was here I decided this FM had won the contest for me.) For one last Dark Project sendoff, the Pagan creatures are now attacking the Hammerites (they had used the portal as well), and you must escape the place while a clear Strange Bedfellows vibe hangs over it. It will also be very convenient for you to return to past areas for more loot, if you need it. Otherwise, at this point, you would have finally satisfied the “Out” portion of the title. What an “In” it was. And now I, socks clearly knocked off for quite a while and ways now, retired to a little slumber after this crazy ride of a FM. This is another entry that's a deceptively much more than it initially seems; the setup involves stealing from a relatively small Inn building, but it becomes much more than that after things get going. The starting area is functional enough, but it's a bit on the simple side in design, along with there being so much darkness that dealing with threats is pretty trivial (although the central room is pretty bright). There are a few puzzles and obstacles (especially dealing with a certain elevator) that hint at the more sophisticated later segments though. After the start there's a heavy setting shift (without going too heavy into spoilers), and the main challenge of the level is puzzles and traps, with the enemies being more of an obstacle in between than the focus (even a couple of semi-forced combat encounters are basically puzzles). Just when you think it's the end there's a third segment as well, which is a bit more linear and enemy-focused. The lack of map(s) can make a couple of things easy to overlook if you aren't careful, but the puzzles (including some exploration challenges) are quite logical with enough clues around to be reasonably solvable, and it stays engaging with multiple surprises (although a shortcut so a certain puzzle/trap didn't have to be done twice would be nice, unless I missed it...). The central gameplay area is relatively compact despite initially seeming a bit intimidating, and the layout can be summed up easiest as Dark Souls-esque, where there are multiple shortcuts and alternative ways that open until you can access almost every segment quite quickly. The texture usage in the latter parts is a bit eclectic, but it mostly works and gives a somewhat different take on the themes it's based around. I wasn't sold on a certain mix of enemy types so close together near the end though Burricks+Spiders+Craymen pretty much right next to each other? This initially seemed a pretty basic and straightforward level, but then the main segment kicks in (which makes up the majority) and it becomes much more interesting both in terms of gameplay and visual design. In the end I liked it a lot, but it felt like some of simpler designs could have done with another pass to bring them up to the quality of the stronger parts. This is the most obviously beginner level so far, with a pretty boxy setting and relatively simple design (in both structure and story). It's still okay though, with enough aspects to give the feel of being in a small mansion, and plenty of room to approach things differently. There aren't that many guards and plenty of darkness, but they're placed convincingly enough to add to the setting. The main puzzle of the map is set up in a way that's pretty easy to solve by trial and error, but at least it doesn't impede progression much for players who don't get the clues. Beyond that there's not too much to say as there are no real surprises (there are hints at something darker going on, but it doesn't go anywhere), and I probably did it in about 20 minutes. For a beginner map all the pieces are in place for the designer to move on to bigger things, and there's nothing actively bad about the gameplay or design; it's just quite straightforward. This is the classic "go through city streets to the mansion target" style of level, and it's another very well executed one. The structure is a little different here though, as it's semi-linear with a few "choke-points" dividing the city areas rather than being open. There are also relatively few fully-explorable buildings in the map (though I perhaps missed a few secrets), it's done in a way that works though, and no other level here so far has really gave me the feel of being just on the edge of society like this one has. 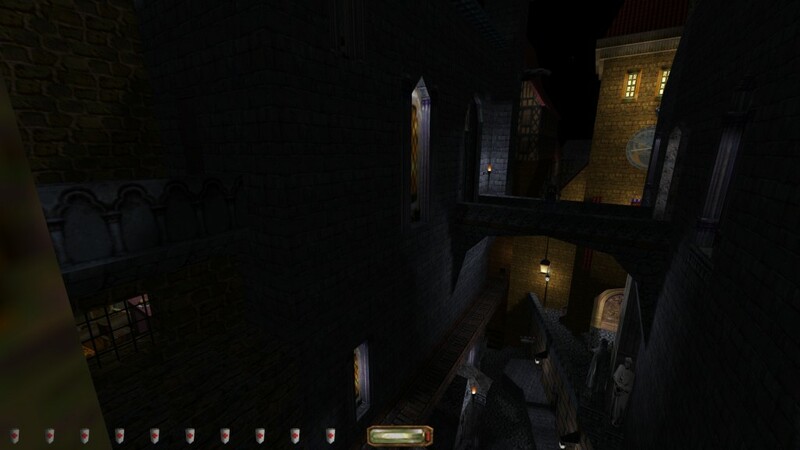 The design is also strong, with plenty of interesting structures and varied streets, there are also some distinct twists on standard Thief things that give that level a bit of unique style, such as the banner textures frequently being used on indented surfaces. 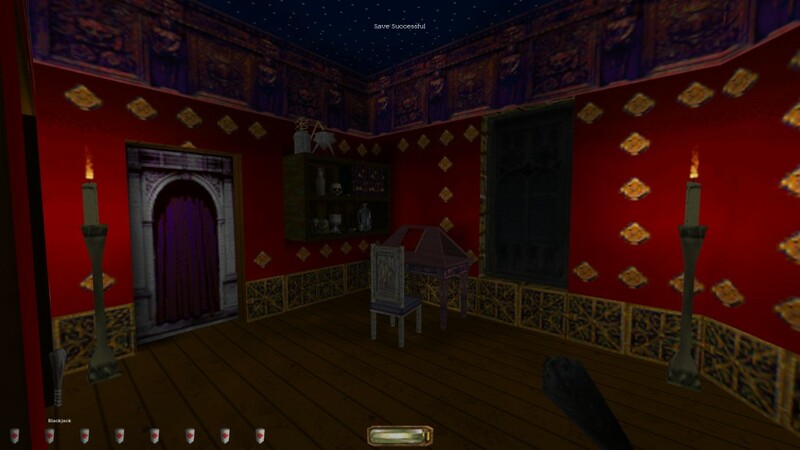 There's also work put into making every area you can access distinct in some way, with the personality of the various residents shown through room designs (although the multiple secret passages in the final mansion is the only time I felt that was threaded into the gameplay too). Something about the scale felt slightly "off" to me though, as many areas felt like they were either a little bigger or smaller than they should be, but the overall design was strong enough for it to not be a big problem. The stealth design isn't especially taxing, with plenty of darkness, few tiles and patrols with plenty of moments of isolation. You also get quite a few supplies later on, even if it makes sense since you're raiding a place other thieves hang out at. There's quite a bit of exploration though, and the pseudo-linear design means the way you progress generally requires you to look around for the way further rather than taking an obvious path, although it's never especially obscure and there aren't many puzzle elements. The plot in this level actually just seems to the first part of a bigger series, and I almost thought it might be another multi-level, but it's just one, and the second part is presumably an upcoming release. Another strong entry, with the slightly different take on the city design being it's strongest asset. Part of the target mansion, which is quite complex for how relatively confined it is. This is an "Old Quarter" style Undead level in a long-abandoned segment of the city. The visual standards are some of the highest so far, with all kinds of invidual details and creative touches like a "ground fog" type effect. There's lots of uneven structures and a convincing feeling of a place slowly falling apart (and a couple of areas destroyed more violently for other reasons...). 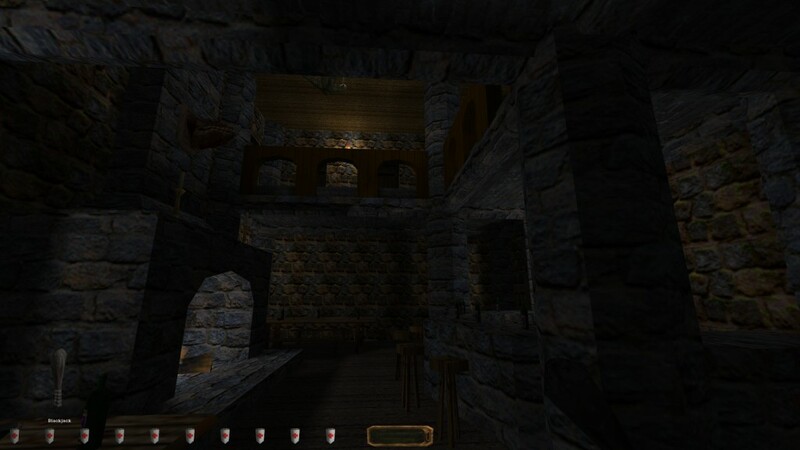 It expertly takes and builds on the aesthetic of the section from the original game, and very much feels like a more modernised version of that style (including more detailed new textures) while still keeping to the overall feel of the original Thief, right down to the spread out power rooms that let you control the lights of different areas. The gameplay also follows in the vein of the original Old Quarter level, with a focus on exploration within a complex warren of layered streets and buildings that's almost intentionally disorienting to a degree, including a somewhat abstract map (but there's still enough landmarks to let you have a general idea where you are), by extension there's stuff everywhere and I wouldn't be surprised if there's a notable diversion or two that I entirely missed despite doing the extra objective to find various items. Zombies are the main threat, so you're not especially threatened in most areas, but there's still a few surprises (including from the Zombies themselves) that led to some tense situations later on, and it's not entirely abandoned by the living... I did feel the "natural" side of things was under-represented though, and a few Spiders, Burricks or similar could have mixed things up a little more. The main puzzle to get to the final objective could be a problem if you haven't explored other areas because a necessary item is quite far away, but the placement of that item was pretty appropriate and you should have it if you've looked around other points of interest in the level. This also has probably the most custom material so far in terms of things like new voicework (despite not having an intro video, unlike some of the other entries), with new Garret lines and some other voice interactions too. This is an excellent take on the theme it's going for and maybe my favourite of what I've played so far; even things that could be flaws to some like the somewhat convoluted layout are all part of capturing the style of the level it's imitating. This is another short entry, with a small house containing few rooms. 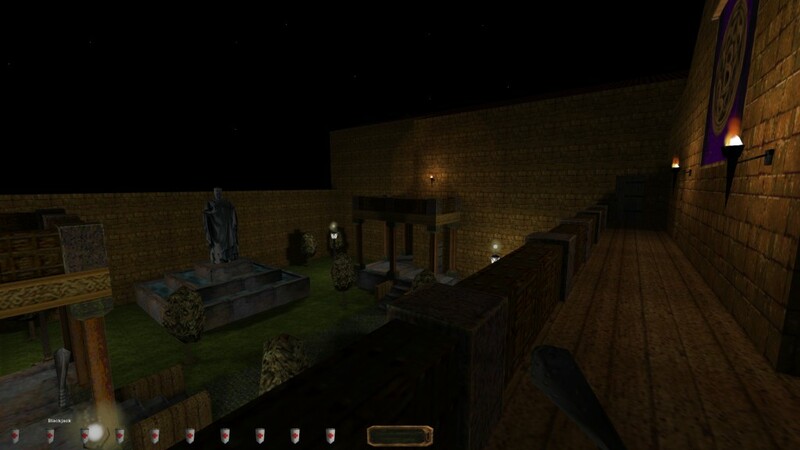 This level is obviously inspired by The Sword, with a surreal setting and lots of Pagan aspects (you can even get the "upgraded" sword, although there's not enough enemies for it to matter); the designs are pretty simple but it does a good job with the feel of everything being a somewhat off even in more normal areas, and manages to be intriguing despite the small area. There's only a small amount of enemies (although it would be hard to fit many more), and, while there's plenty of tile, there's enough darkness to make dealing with them pretty simple. There's also a certain ambient NPC I'm not sure I was supposed to be able to Blackjack? The main focus is the exploration/puzzles and following the story to find out what has happened to make the house how it is. The various small loot caches you get for looking around carefully feel rewarding, but unfortunately the main objectives also mostly involve finding quite hidden switches and similar; it felt like those could have had a clue or two more, or been more obvious vs the stuff you find as secrets. Overall the surreality and short story gives this level a certain memorability despite the size, but it's not big enough to stand up to most other levels so far (and since the sprawling weirdness of The Sword was a big part of it, being much smaller kind of inherently loses a little of the essence of the original level), it also felt the lead-in could have been a big longer so some normality could be established first, as you get thrown right into the strangeness as it is. The premise here involves having to infiltrate an old Keep recently taken over by a Mage (for mysterious reasons) who also hired a group of soldiers; it provides a reason to put a lot of Thief aspects together, with both guard stealth and supernatural aspects in the less travelled areas of the structure. The architecture and designs are interesting in the larger areas, but quite a few of the interior areas are a little on the cramped and cubic side. 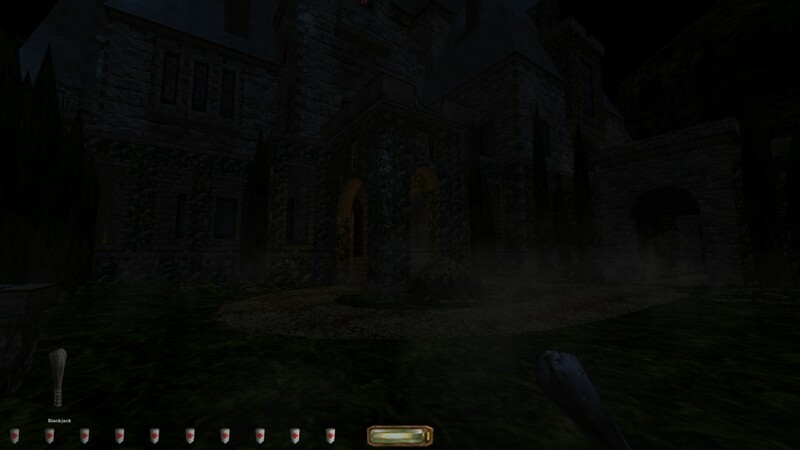 There are various nice effects though, like the supernatural fog-like candles and some of the more creative traps and obstacles in the more out of the way sections. There's also a decent amount of variety brought to the setting, with different segments of the building being relatively distinct and even dipping into Lost City type themes at times. The layout here is almost entirely open, and almost every area of the level can be accessed from the start with little gating you off. The overall area is relatively small with a lot of vertical space used; the pacing is a bit breathless at times given there's little transitional space so set-piece moments are almost right next to each other if you approach things in certain ways. While the story and messages you find justify it somewhat I did feel like conflicting enemy types are a little too close at times, at the least it felt like a few signs of conflict in what transitional areas there are would have been fitting. There's also no map despite the level actually being quite complex and maze-like at times; in general there are landmarks to keep your bearings with, but certain areas are essentially mazes and can easily lead into other mazes. Despite the slightly crammed feeling there are a bunch of nice invidual moments though, such as a somewhat different take on Burricks (treating them almost like a corridor of turrets or something), various puzzles and traps, and some interestingly modified enemies to mess with your expectations, the persistent usage of Harps and how they tie into the story is also a nice touch. While there's plenty of shadow the confined vertical areas also add a nice tense angle to the stealth as it makes it hard pinpoint the exact position of enemies, and multiple threats can frequently be heard at the same time as well. This is still a very good level overall, with interesting gameplay situations, rewarding exploration and interesting visual moments in the central areas, but it could have done with a little more room to breathe. It almost feels like two levels that were scrunched together slightly awkwardly at times, though that "kitchen sink" approach does have a certain charm to it. From the filesizes it seems later set of contest levels might be shorter overall (with a few exceptions), so I guess I might be able to finish up in a couple of posts. This sets itself up as a simple break-in of a small church, but of course it's not that simple. In the end this goes on a rollercoaster tour of every major theme in Thief Gold, with the centrepiece being a large catacomb type area. Every area is decently convincing with interesting designs and nice atmospheric touches, the sheer amount of themes does means some don't end up as established as others, but overall it manages to sell them all. There's also some custom voicework. It works better with the later theme shifts kept as a surprise though. As mentioned the catacomb is the largest part, and it's also the most complex and detailed, with an especially large central shaft area that contrasts with complex and maze-like tunnels built around it. There's only a map for the inital area, but the large theme shifts and semi-linear structure keep it from getting overwhelming despite that, as well as the overall progression conceit of you going deeper and deeper beneath the city. The catacomb is the most complicated but even there the shaft provides some grounding to keep your bearings, and the more maze-like parts seem intentionally designed to capture the confusion of first playing levels like The Bonehoard. 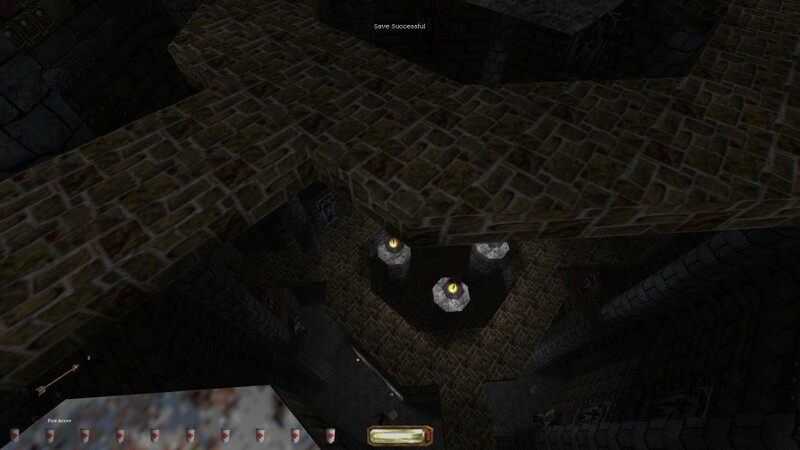 The large theme shift also come with various styles of gameplay; the initial church is actually tougher than it looks at first, as there's a lot of light areas and the small size makes it quite easy to draw attention if you aren't careful, then the later parts are generally darker but start to add in more traps, puzzles and a few custom enemies too. There's also some interesting bits of enemy behaviour like some very active Burricks and a slightly different take on Craymen (though I wasn't entirely sold on the tiny ones). There's even a little Human vs Monsters action, although it didn't work so well for me since I'd cleared out the related area before the twist. While the pacing does mean certain themes go by a little fast, there's enough transitional space to make them flow into each other relatively naturally. This a great level, and goes all in on trying to evoke every theme of the original game. While the nature of the design means the invidual areas aren't as well executed as some of the other levels so far, it still does a good job pulling off the theme twists and mostly avoids feeling too breathless in trying to throw in everything (though the last area or two felt a little less fleshed out). This is a classic "start in front of a mansion to raid" setup. The exterior is impressive enough, but going around the outside reveals some rough edges like multiple parts that are essentially completely empty, that extends to the interior as well; the main areas look decent enough, but then others are nearly empty in terms of both detail and gameplay content. A couple of areas like the small assistant's house outside also have very monotone lighting with just darkness and no defined shadows at all. The stealth gameplay is mostly okay, but guard placements feel a bit off with many of them patrolling dark areas, when there are lighting sections that are almost entirely empty. There's also a giant group of civilians in one area, which is kind of amusing if you scare them, but I'm not sure that amount of AI in an area fully convinces when you interact with it. Some of the bigger areas seem completely empty of items or enemies and feel like parts of an expansion that wasn't finished (which may be the case I guess). There's a major plot twist that recontextulises the nature of this level a lot, unfortunately, despite being a major twist it remains a backstory thing and doesn't really mix up the gameplay at all (the level is basically over after if you've done everything else). The big difficulty is the loot needed, at least on Expert; I had to scour the place multiple times over and still barely met the goal, and it feels a little on the unforgiving side (even taking into account it's the hardest mode) to the point it heavily harms the flow if you don't know where everything is, and it seems you need to find multiple bits of small, semi-hidden loot to make it. Decent overall with some nice ideas, but the emptiness, missed opportunities and overly unforgiving loot objective let it down. This is another level based around a town area to explore. There's a nice amount of detail, and I like how the town is structured, with a sort of crescent shape that the main town is built around, with a large graveyard and some rocky hills breaking up the central and right-hand parts (with the manor of the town's ruler making up most of that side, looking out over the rest from a high hillside); while the individual buildings are simpler than some other levels it feels like a lot of thought was put into how it comes together as a whole. There's plenty of variety within the strucutures too, like some tunnels and crypts that go underneath parts of the level. Your goals here develop quite a bit as you progress (and you divert from your inital mission almost immediately), with a whole mini-story that plays out past the briefing screen as your actions end up progressively raising the stakes. 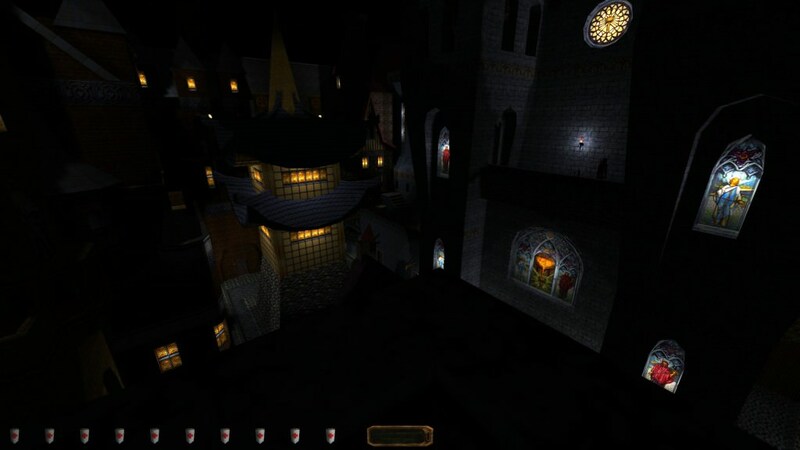 The city itself isn't too threatening to explore, with plenty of darkness, but the side areas and mission goals add some challenges, like a "chase" sequence, a body to move to a certain area, and a sort of alternative take on the final encounter in Thief 1. The way one puzzle has multiple solutions is also very cleverly done, including an entirely logical unique interaction that still wouldn't normally work but does here. 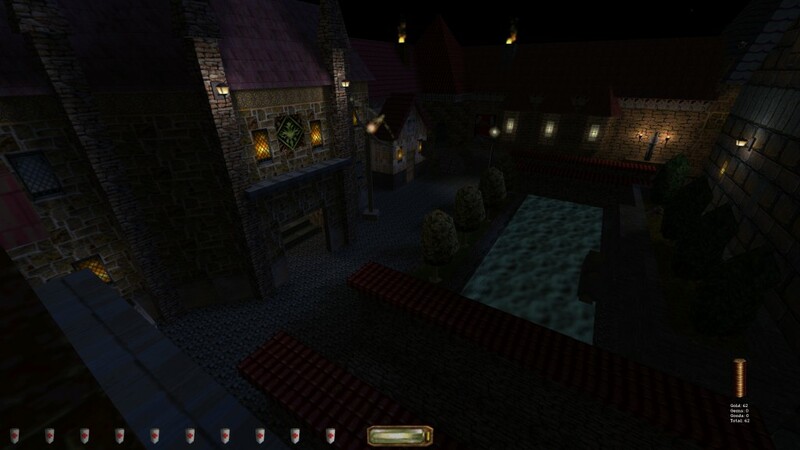 The side areas aren't quite as well executed as the main town, and the manor house and Hammerite Church are a little plain and blocky in places, and the former also feels somewhat emptier gameplay wise, but they still have some nice touches in them. You need to find a few things labeled as secrets to progress, which seems odd, although the mandatory ones aren't overly obscure. Between the nice town structure, developing story, mostly rewarding exploration and some original tasks this is another strong entry, although the inconsistency of the weaker parts lets it down a little compared to the more fully consistent entries. This is a very short level, but what's there is good quality. There's a small curving street with a chapel, Tavern (with a small Mage society beneath) and a house; that's about all there is, but each location has a decent amount of detail and convincing atmosphere. For it's size there's some nice rewards for exploring, and the alternative ways into certain sections (that let you bypass most of the map) is a nice touch. The small size does lead to some semi-challenging situations with quite a few NPCs crammed into such a small area, but there's enough tools to handle it. What's here is good, but there's so little of it it can't stand up to the maps that provide similar quality over a longer period. King of the Mountain (by Spoonman) is a sorta-prequel of sorts to The Ravine. This time, you assume the role of a prisoner in the Bluerock Prison on the brink of everything falling apart. Winter is coming, food is low, and word on the street is that even the Church has given up on supplying the place. Our hero has been tossed in isolation, but managed to swipe the key. Now, he has to escape. This is essentially The Ravine: Mini Edition, but less overtly confusing. 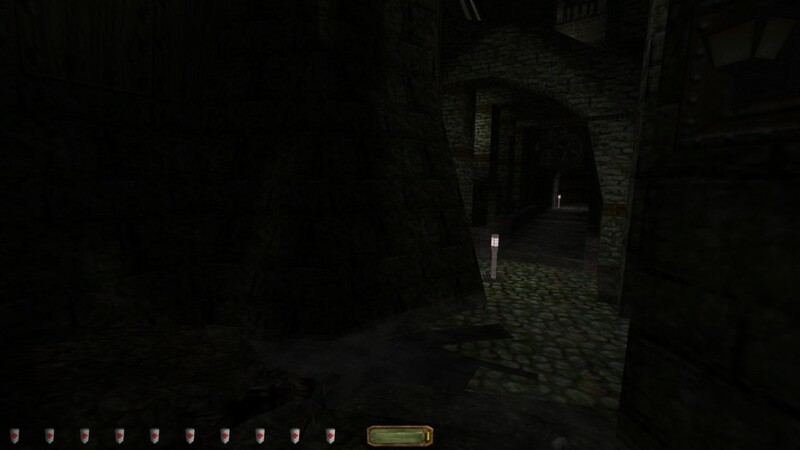 You’re still maneuvering through a mazelike area that’s more focused on an overlapping vertically, with plenty of shadows to hide yourself in but very few places to safely dispose of any bodies. The main differences is that this place relies less on confusing sound to constantly make you feel unsafe, and it’s smaller. Those of you who are worried that The Ravine and its oddess will be forever ruined can be rest assured that you get no explanation for that mess, but there is something going on at the prison. It’s not hard to figure out, but what’s interesting is that it’s mainly told through the environment. Details like a makeshift boxing ring help add to the desolate atmosphere of the place, and the few readable makes sense and help to clear things for those who didn’t grasp the environmental side of things. There’s even a fair bit of black comedy, especially with the ending. My main issue with this mission is that the objective is both obscure and easy to short-circuit. Getting out is based on finding a single key, held by a single guard who has a wide patrol route and little to distinguish him from the rest. As a result, it’s easy for a player to explore the whole prison, deal with every guard, and have no idea what to do, and also easy for another to stumble on the key in the first fifteen minutes. It’s a petty thing, but it can easily throw the mission off. For all The Ravine’s confusion, at least you knew what you were looking for. In the end, a solid mission. Recommended, especially if you enjoyed The Ravine. 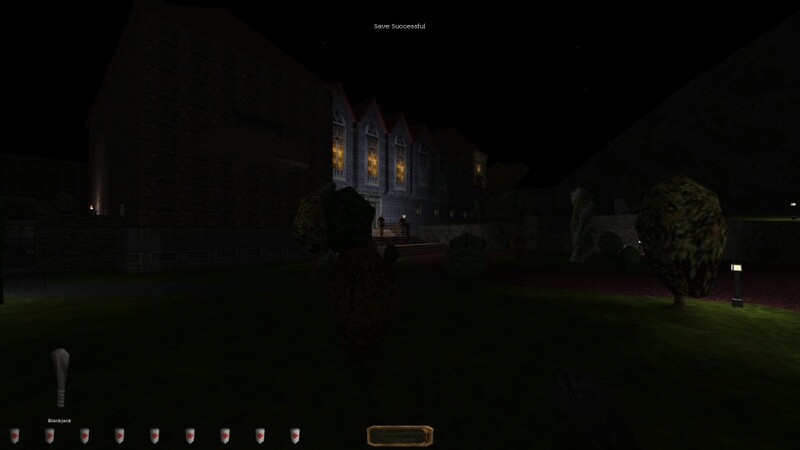 This is another very short entry with a manor building to raid. There are a few nice views but the overall design is quite cubic and sparse on details, although it improves a little in the final sections. The gameplay is pretty simple with relatively easy to deal with guards and no real puzzles beyond finding a key. What story is there is okay though and does a good job telling you what the owner of the manor is like. There's actually a little plot twist at the end, and, while it doesn't extend the duration much, it does add to the story a little more and provide a different environment for the end of the level. I also appreciated that this one had a map, even if it's quite simple. Another beginner level with nothing overtly bad about it but nothing stand-out either (although the attempts at things like the plot-twist were nice). There have been multiple Melan inspired vertical city entries, but this is an actual new release by Melan, and it lives up to it's predecessors. On top of the hugely vertical designs, the streets are also filled with variety and almost every area has a different style. There's a lot of detail and very few areas are neglected, to the point I'm still not sure if certain background areas are just detail or actual secrets I missed. That variety also results in almost every building having a different mood to it, and even the smaller houses have little touches that make them distinct, from small unique details to story vignettes to uncover if you pay attention. There's also some modified enemies and other things to mix it up. The way some lights periodically go on and off is also a nice touch and actually impacted gameplay with moments where I had to move quickly before a light came back on. Your routes through the level are semi-unconventional (which begins from the start, as you route through a house and leave via a slightly unexpected area), as most of the standard street paths are locked down and require you to find other paths until much later on. I'm not actually sure if I did things an "intended" way, as I did a couple of borderline exploititive jumps to progress, but it worked out, and was kind of satisfying, as it felt like I was finding my own way through the city. I did find some of the locks next to gates a little blended at times though and I wonder if they could have been made to stand out more. The titular target building is also an area of it's own, and throws in some surprises that made me very apprehensive about what was waiting at the initial mission target... Then there's quite a bit more after that, with the story developing well as you make progress. The latter part involves a somewhat unconventional objective, but ways are provided to make it pretty painless, so even if it doesn't appeal you can remove most of the threat anyway. There's even a newly opened area at the end for a climatic break-in. The main path of the mission has a nice escalation of difficulty, with more noisy surfaces and tiles gradually showing up in later parts, and the side-areas varying in challenge (and a higher-difficulty objective that adds some bonus threats to the streets). There's an annoying bug where arrows and other movable objects can stop working, but it's mentioned in the Readme and can be fixed by just reloading a save. The map is also a little hard to read in-game, but there's a high-res version in the zip file at least. The ending is a little odd as you don't get what you came for, but I guess it's a bit of a sequel hook. Despite those issues this is my favourite level so far, and easily lives up to Melan's earlier releases (though I'm not sure if it's my favourite of them). It has special details and surprises almost everywhere across multiple layers, and there's so much going on that I wouldn't be surprised if I missed some notable areas despite exploring most of it and finding a couple of larger secrets. 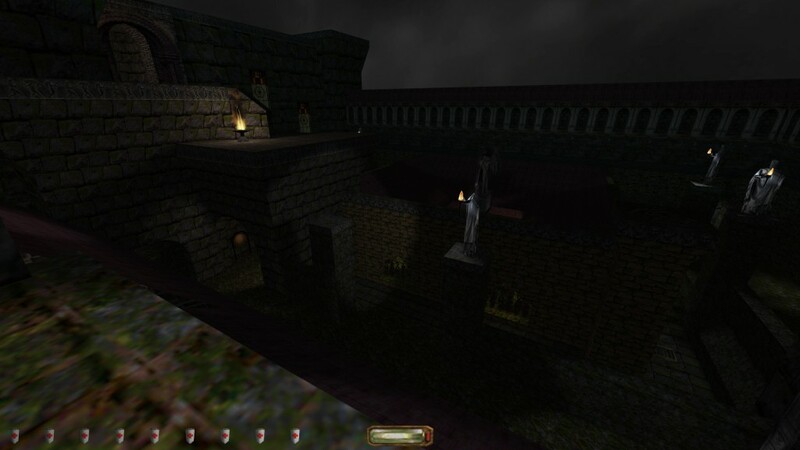 This is another relatively short level based around infiltrating a mansion, but much more fleshed out than the other entries along those lines. 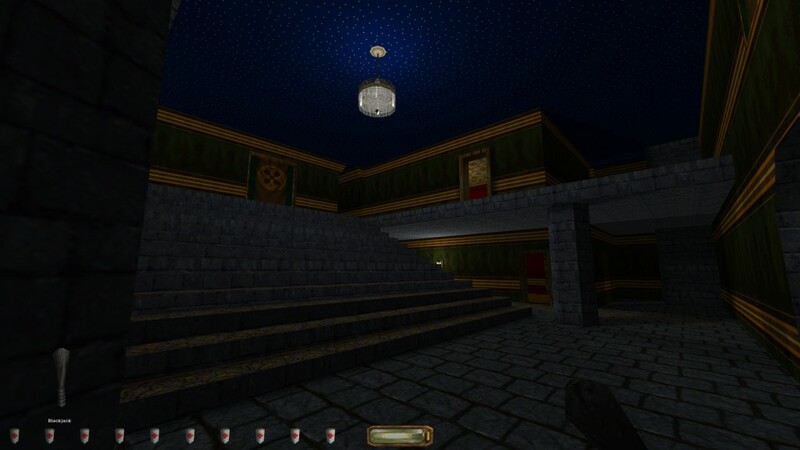 The visual design is high quality, and the mansion has a somewhat unique visual style to it, with the use of various opulent gold textures in the upper areas of the mansion, along with some claustrophobic areas, combined with well-executed ambiance, that give parts an oddly oppressive feel despite no overt aspects of that. Despite being a smaller entry this holds up well to the more ambitious ones visually. 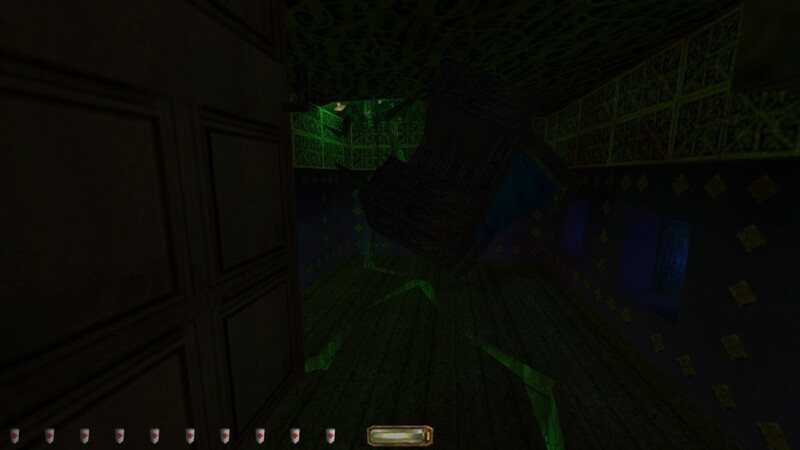 While mostly pure stealth and guard evasion with little in the way of puzzles (outside of some secrets) or other threats, the relatively confined design and tiled rooms lead to some challenging moments, but the design is quite free-form with most areas having multiple ways to approach them. This is another level with a semi-challenging loot objective on Expert, but the relatively small interlinked design prevented the search getting frustrating, and it still felt reasonable. The biggest issue is actually the lack of story, with even most of the context you have confined to the Readme; in the actual level there's no readables from what I can tell (outside of a few signs and objects) or dialogue and other ways to add to the story. On the other hand, there's still a good sense of implied environmental storytelling and the unnerving feel that something darker is going on that you never get any real glimpse into. Despite being a short entry this one can actually hold up to some of the larger maps, and with a little more story/context this could be one of the stronger entries here. This is the first pure Undead/horror level so far (others had Undead themes but also some Human enemies, whereas this one is pure Undead and Natural threats). There's a bit of Thief 3's Cradle to the concept as you have to break into an abandoned asylum. You go through mines and sewers to access the asylum and the settings are all well-realised and atmospheric, with nice amounts of detail, the view of the actual asylum exterior is especially impressive. The way the asylum is a Hammer construction is also used to add variety like a forge and church area. There's also some good use of effects like silhouetting enemies with flickering lights. Some of the main corridors in the actual asylum are a little bland, but outside of that everything is good looking. There's plenty of darkness to hide in, but there's a nice ramping up of the threats as you progress, as you go from Zombies to Haunts and other more dangerous enemies as you reach the actual asylum, although most enemies are spread out enough to not be too tough to deal with. The start of the level is more puzzle based as you have to open a path through the mines/sewers to the asylum, but once you reach the main location it becomes more focused on exploration and standard Thief stealth (with an Undead focus). The story and messages do a good job creating apprehension, and the horror elements ended up being not as intense as I expected based on some of the earlier messages, but perhaps that's more a statement of how well they build up the atmosphere. One character is used as a focus throughout, and leads to some of the creepiest moments, as well as culminating things in a sort of boss encounter, but a very non-standard one. The interaction with the Blackjack and a certain enemy type was odd, but apparently intentional given it presumably needed custom scripting. A strong entry that does a great job setting the scene and atmosphere, but I felt like it was missing a little something later on to really bring it together, it does end on a semi-sequel hook though so I look forward to that. 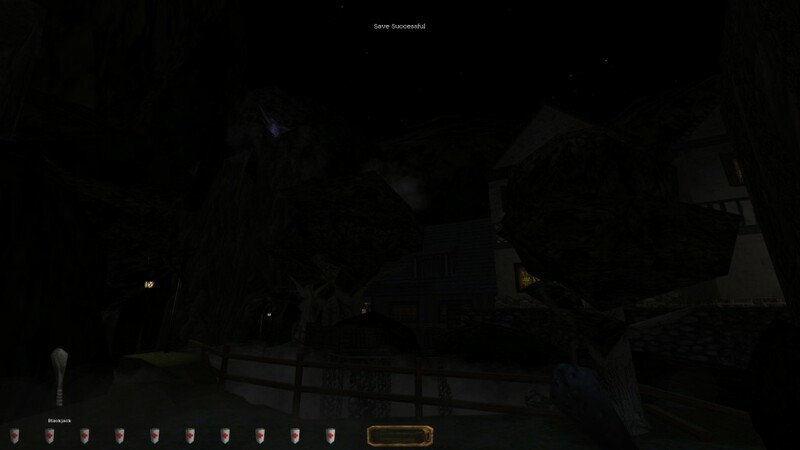 This is a small town area with a mansion to raid. The general design is okay but areas tend to be a bit plain and lacking details, and, while there are nice looking areas, they're generally linked by plain looking corridors. It's generally a bit overscaled feeling; the town area feels a little off due to the scaling but it does have a certain style to it that makes it feel a bit different to standard designs despite the relatively basic geometry. 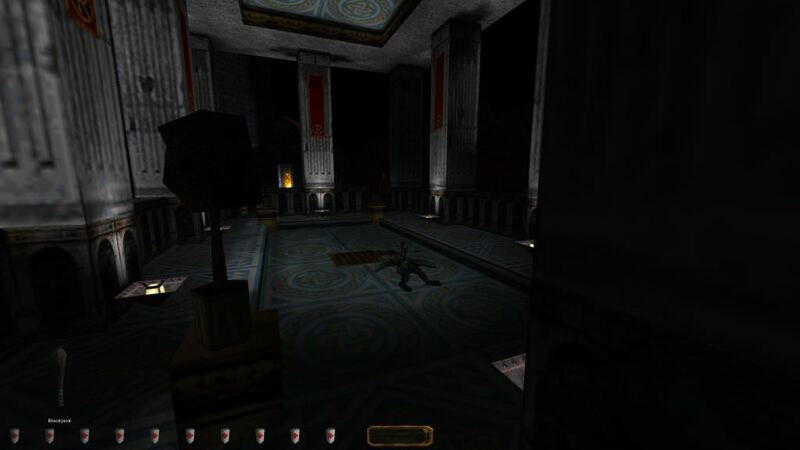 Most of the guards are simple to deal with due to the scale leading to guards taking long routes through dark areas, but there's some more challenging tiled areas in the mansion, and the streets have some interesting use of guards in sniper spots to make wondering past certain sightlines require some care. While you are mostly just exploring there is a combination puzzle with a creative solution, and finding the key to the main objective relies on some spatial awareness. This level is big enough that the lack of a map stood out, but it's still not overly large given that. There's a decent amount of scene setting with the messages (as well as some nice moments like the combination puzzle mentioned before), and some custom voice acting, although it feels relatively stand-alone despite being "part 1". This is amoung the simpler entries, but on the upper end of them with it's better looking moments and some good story setup, unfortunately the blander corridor parts that make up quite a bit of the structure let it down. Mman's on a mission, I see. All the latest reviews have been added and we're up-to-date again. Very many thanks to you all. Sterling work! This is another two map set, with both being large and fleshed out (although the second is still definitely the main segment). This is possibly the best looking level set so far, with tons of unique details, excellent lighting touches and special effects like ground fog. You start off in a forest area that's mainly atmosphere build-up, and it's one of the best looking I've seen in Thief, then the meat of the first level is in a village built on the edge of a ravine. All the buildings in the village have unique designs and details, and there are other areas like some tunnels underneath. A lot of it is optional though, as the mandatory areas are mostly story set-up outside some small diversions, with the central tavern being a neutral area. 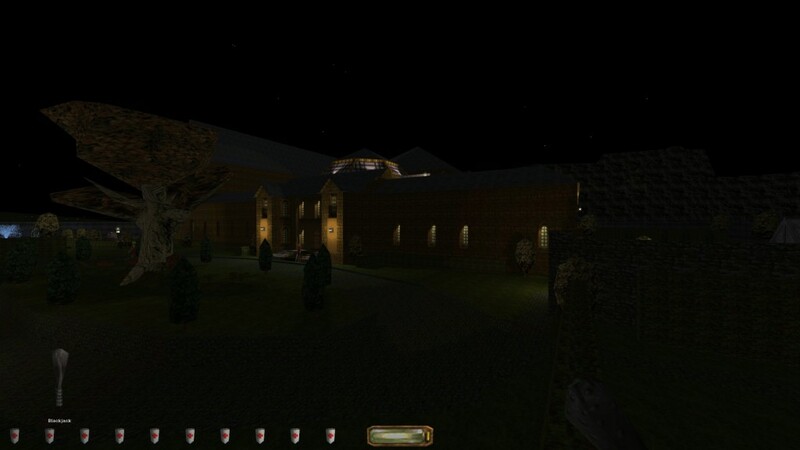 The second level is a mansion converted into a hotel, and it's an immense location with dark secrets to unearth in the vein of classic maps like Rowana's Curse and An Ominous Bequest (and maybe a little The Shining influence based on it's remote hotel location), and it can hold it's own to them as another masterpiece of that style. It's full of detail in every area from the different parts of the hotel to the personality of the guests in each room (and the nature of some of the rooms themselves). I did have some strange issues at the start as NPC's seemed to detect me interacting with other ones in ways that didn't seem to make sense (and is a problem when not raising an alarm is an objective), but after clearing the place out a bit this problem seemed to go away. There is an above average number of NPC's in the level, which somewhat explains some behaviour weirdness though. This is a another entry that does a great job building a feeling of anxiety and dread with it's story details as the horror elements become more prominent, such that you're already primed to be creeped out when things start escalating; there are also some excellent unique effects and scripted sequences to add to that. 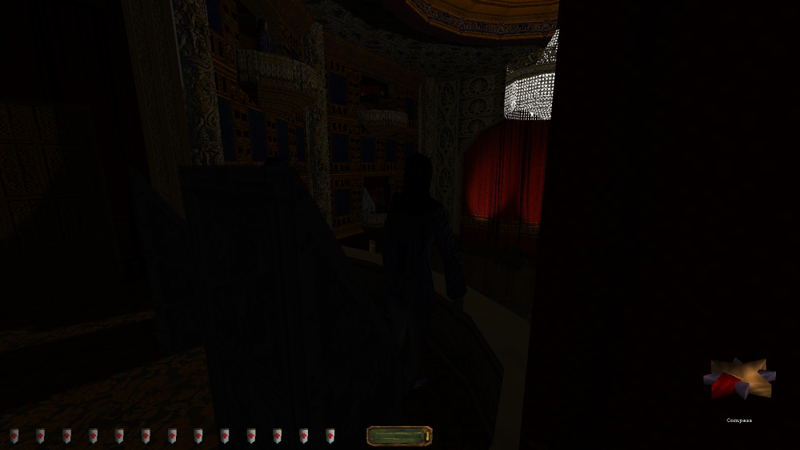 It's probably the most complete story of the entries so far, with the build up across two maps and it all coming to a satisfying climax as Garret is inevitably drawn to solve the mysteries of the manor. The biggest issue is the lack of a map; each area is distinct enough to be possible to navigate despite it's size, but it feels like a notable omission in a level as huge as this. Most of it was fine (and quite high quality), but the more disembodied voice acting in the second map also felt very hard to hear at times. This entry is up with Rose Garden as my favourite so far, and I think I slightly prefer it; it's a complete story built over two maps, and covers almost every facet of Thief gameplay in the process (even if it's not necessarily a Dark Project based entry), on top of being one excellent visual showcase after another. This is another town map, but with the big change of leaning heavily on the industrial/steampunk aspects of the Thief asthetic. The technological aspects give the level a distinctive style, and the ambience and lighting also play into it well; while horror elements are minor the abandoned industrial areas and machines giving out strange noises and drowning out actual threats gives many areas an unnerving feel. 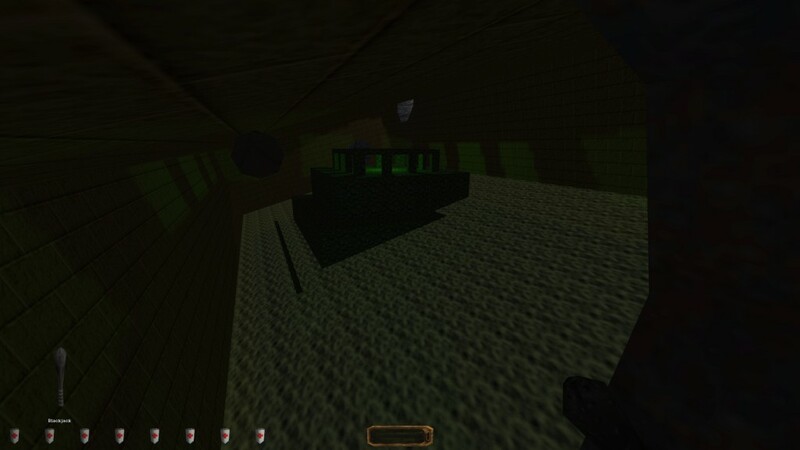 It's also very high with details, with all the industrial machines and pipes creating organic looking areas. This is also another very vertical cityscape with multiple layers to it, and it actually takes place over quite a small area with most of the exploration being vertical. 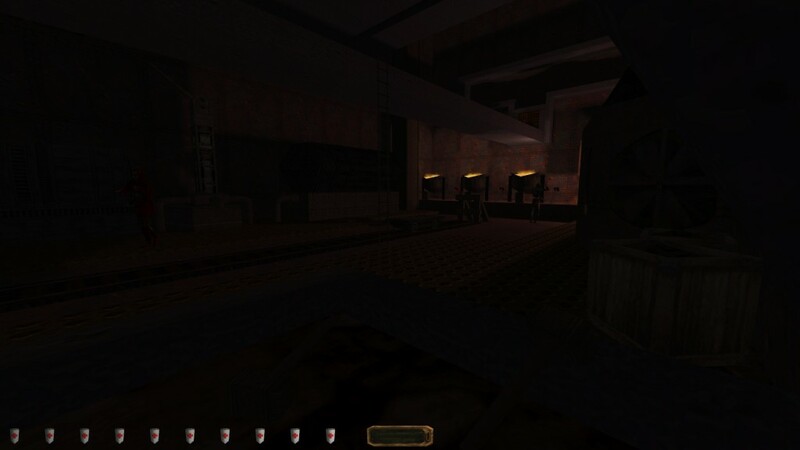 The higher-tech nature plays into the gameplay too with a lot of metal floors (although enemy hearing of them seems a little toned down compared to the usual), and this is another level that uses periodic on-off lights as a gameplay feature, in general it's dark enough to give you plenty of places to hide despite the noisy surfaces though, and the vertical design provides a lot of room to deal with things as well. The main objective is relatively complex and involves quite a bit of going across the map, but I was able to find the necessary items just with exploration, and it's quite satisfying to piece everything together. The extra objectives are a little tricky too, although the clues are there if you piece things together. A very strong level, with the industrial aspects giving the streets theme a fresh style. It felt like a bit more of the area should have been accessible (although I guess I might have missed some bits), and a couple more fleshed out side areas would have really brought it together. As the name suggests this is a Lost City themed map, and it takes the approach of starting you partly in the action as Garret is escaping a botched thievery, although you're pretty safe and getting started involves a small puzzle. the actual design is mostly comprised of corridors, with only a few areas having more interesting designs, there is at least an attempt to spice those corridors up with rubble and holes in walls looking into small rooms, but it only does so much when it's generally tunnels. 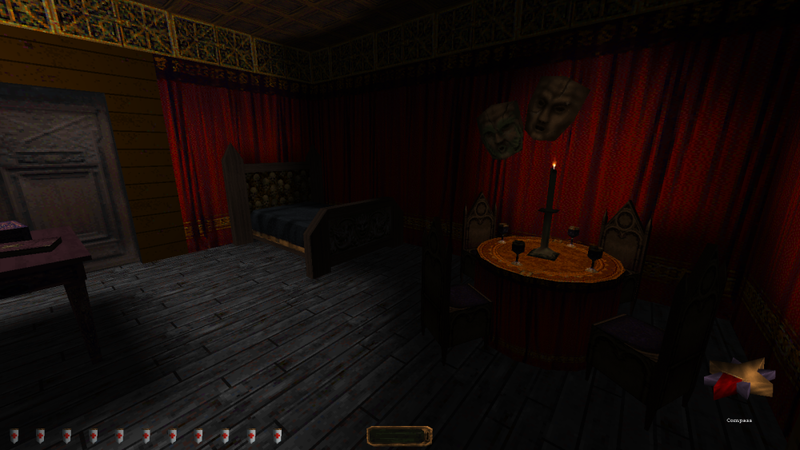 One part did use ambience and claustrophobia to create a creepy section, but outside of that the design is pretty plain. The design of the map is essentially a series of divided mazes; they mostly aren't too big, but it's not especially engaging outside of some side areas. While I avoided the issue it also seems like you might need to backtrack a lot if you missed certain items, so, while the essential ones aren't especially obscure, it's good to be thorough with each maze segment. 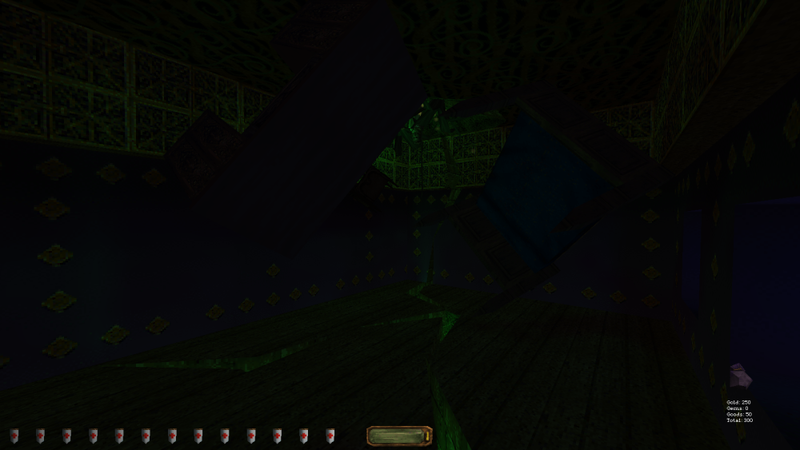 Outside of the maze navigation there's a couple of platforming tasks and traps. A pretty basic map but with a few good concepts in it, being mostly comprised of mazes lets it down a lot though. This is a two level set with the first in a haunted church and the second in the catacombs beneath it. The boxy exterior you start in is a bit unconvincing, but, outside of that, it looks good and gets better as it goes, with the second level in particular having some very strong atmospheric lighting and geometry. 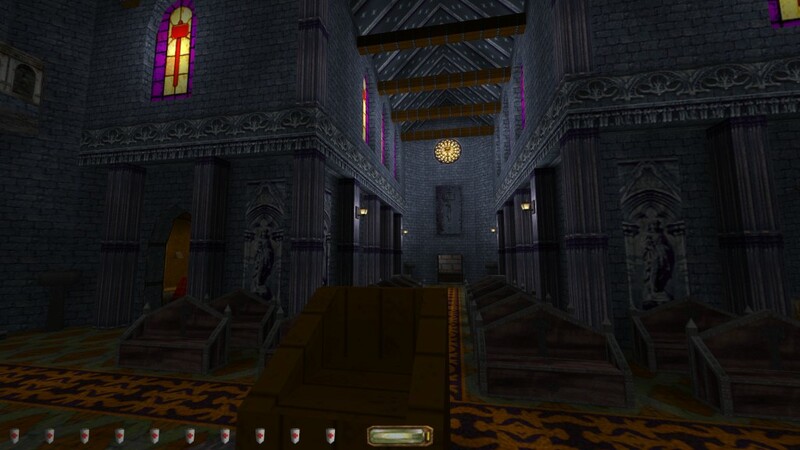 The church in the first map overall has convincing designs though, and leverages the broken down parts as gameplay features by giving you previews of other areas and clues of where to explore (with the level being quite open). 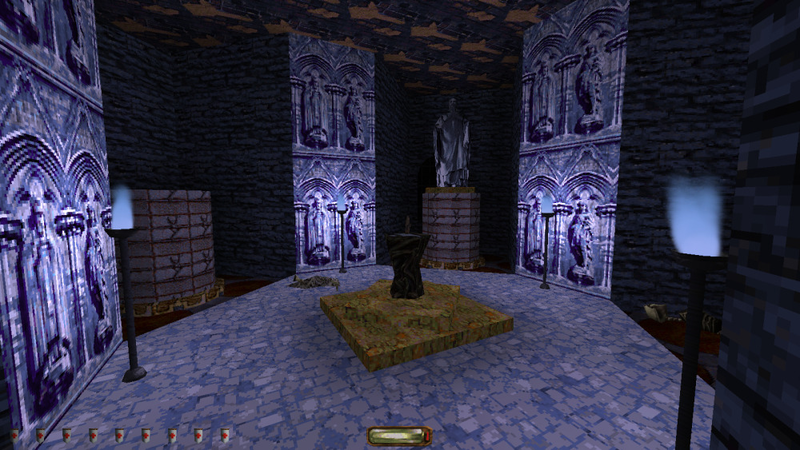 The crypts of the second map are occasionally a bit simple, but elevate themselves with interesting lighting and details, and the later segments look great in general. This is another set that goes to unexpected places as you make progress, with some other themes brought in as you go further into the catacombs. The first level mainly involves exploring the non-linear church for various items, but there are a couple of nice puzzles too, and a couple of scripted moments add a nice touch and also help give clues of where to go next. There's a mix of various Undead foes, but most areas have a decent amount of darkness to work with, a couple of areas like the living quarters are a bit more unforgiving though. Equipment also carries between levels, so being a little conservative pays off. 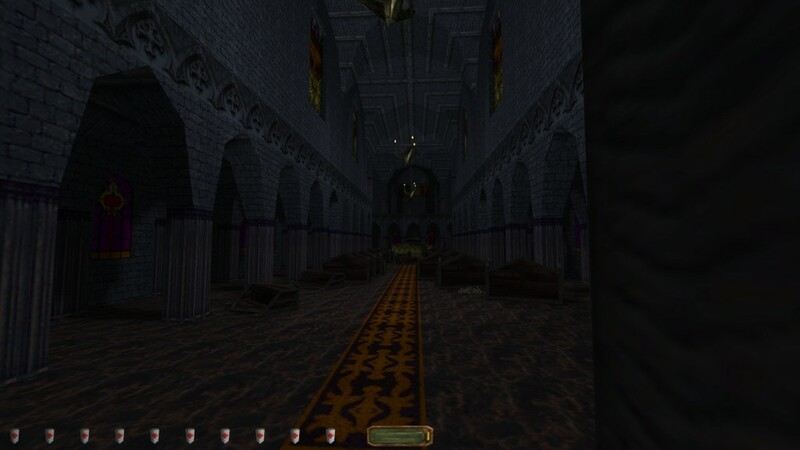 The second level is quite a bit bigger and the meat of the set, with a giant set of Bonehoard-esque crypts to explore that give way to a couple of major theme shifts. The main points of interest in the central crypt area are the family tombs there, and they contain some very creative puzzles and challenges, like a sequence with redirecting an energy bolt, and a part that's a great build-up to an unexpected new enemy. The later segments are a bit more straightforward, but there's still a few nice traps and obstacles, and the enemy threat goes up a bit (although the very final part felt like a bit of a letdown in that regard). There's also supposed to be a big easter egg spanning both maps that I didn't find any of, but it seems there's quite a bit to it. This is a great set, and the second map reminds me a lot of "In and Out" in structure (without the "Human" elements), I think I slightly prefer this one though, as the overall gameplay felt more consistently strong, and there are some really fresh ideas here too. 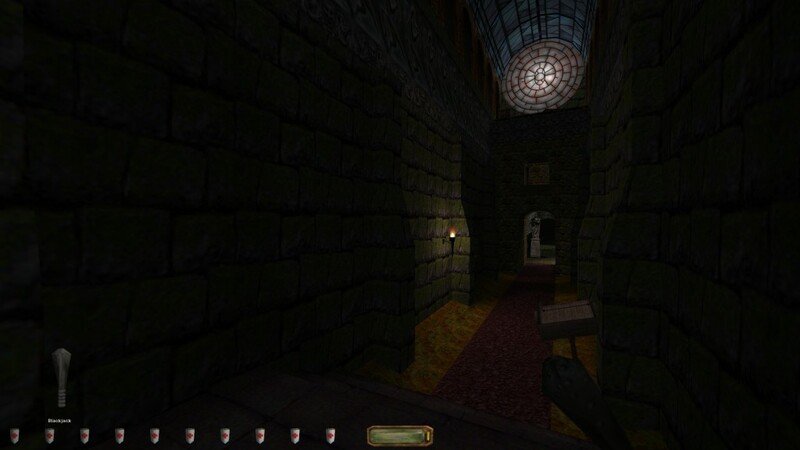 The premise that leads to the title is that this is a sort of hybrid of four Thief 1 levels, with you having to raid Bafford's Manor, a Crypt, Ramirez's manor and a Hammer church. The ambitious nature of the concept does lead to issues, with the design being relatively flat, and many of the actual interiors are full of repetitive cubic rooms (Bafford's being the worst offender). Parts of it look decent though, especially the main areas of the church, and the actual building exteriors generally look good. Layout wise the places are pretty different to their inspirations, and mostly only take a few design aspects from them (like banners in the houses), they do at least somewhat evoke memories of the original locations in their better moments though. 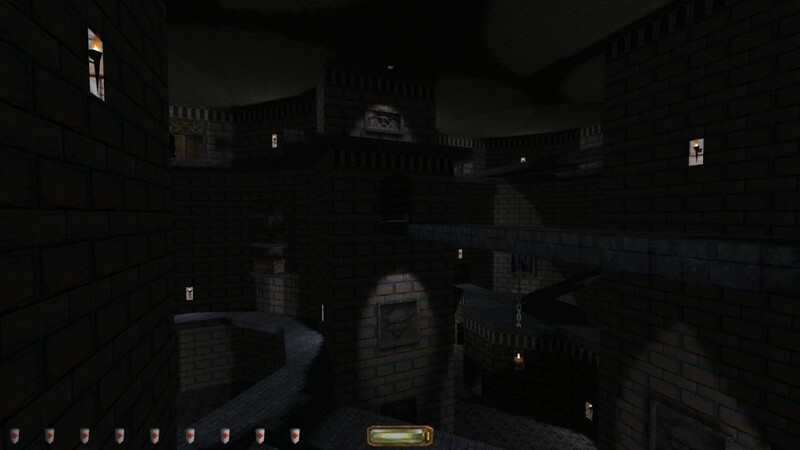 Outside of a puzzle in the Hammer segment the level is mostly exploration and pure stealth; the latter has some interesting concepts, like overlooking archers in certain parts, but then the interiors have a lot of rooms where people are just staring at walls and can be easily dealt with, to the point they feel redundant. The crypt is probably the most interesting challenge with several enemies in a small area, although the Ramirez manor has a tricky balcony sniper to get around too. The ambitious concept is nice but the cubic rooms and corridors most of the areas are made up of let it down, in it's better moments you can see the seeds of what it could have been though. The actual scores I give on the contest form will remain similar, but I'll probably end up tweaking a few points here and there. Rose Garden and The Scarlet Cascabel are the two I like best, with the latter just edging things out as my favourite. The Sound of a Burrick in a Room and Lost Amoung the Forsaken make close runner-ups. Then things get harder to judge vs each other as there's a bunch of great but not quite as exceptional entries below those. Even the weaker entries generally didn't have especially major gameplay flaws, and still had some creative ideas in them. These are my reviews of the 20th Anniversary Contest. They were included with my votes, and are posted here in three parts along with the scores I gave. 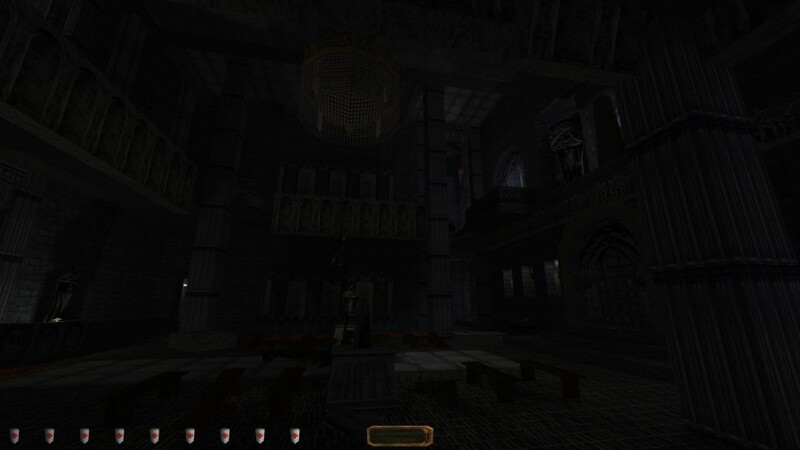 As the readme prepares you, this is Thief on hard mode. Tight and frequent AI traffic, lots of tile and unextinguishable lights in two of the main locations, advanced opponents (lantern guards, alerts, enhanced vision, etc.) – making this, ironically enough, one of the easier GORT missions. If you enjoy a good challenge, this is challenging. If you prefer a comfortable and relaxing experience, look elsewhere. It is not always fair; tile abuse rears its ugly head, and the equipment you get is negligible. Sometimes, it is too large physically for its own good (there is a fair amount of backtracking, and a few keys are hard to miss). 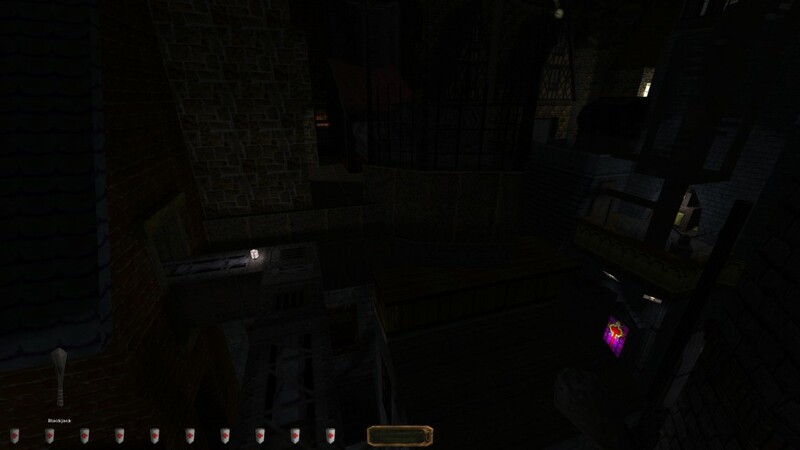 The mission itself pays homage to multiple classic missions: the streets of Assassins, the opera house from Song of the Caverns, the mages’ compound (although this treatment is more opera-like, and way more fun than Thief Gold’s absolute nadir), and, slightly out of contest bounds, the industrial warehouse complex of Shipping and Receiving. This is how you do a good homage: each look the part (with smooth visuals and moody shadows), each capture something essential from the kind of gameplay which had made those missions memorable, and each push their respective sources of inspiration a little further. This pair of missions has a consistent atmosphere only few people can pull off – and it is unique to Thief fan missions (it is not even there in the basic game). This atmosphere is Thief at its most menacing and bleak. 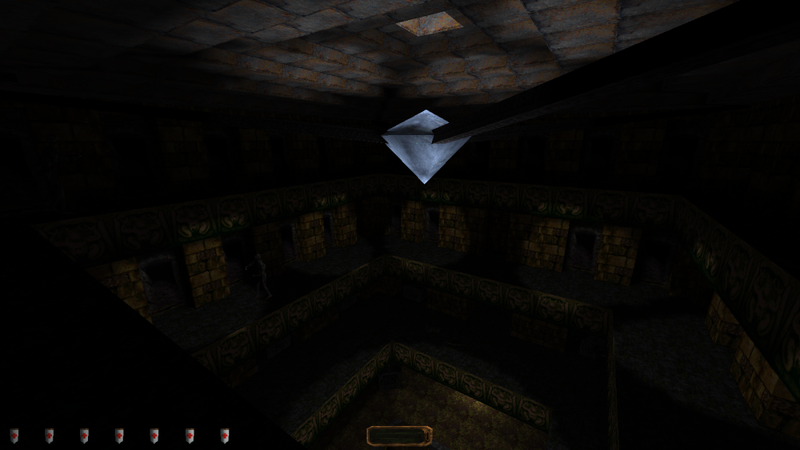 The shadows are completely dark, and as a stylistic touch, you often have to navigate these stretches of complete darkness between pools of light. Often, the light is on the walls and ceiling, but not the ground, adding to the feeling of being off balance. I must also mention the carefully used colour palette – using all the sickly, faded colours of the basic textures to create living environments which are desaturated, and look sickly and unwholesome even when they belong to the rich. The first mission is an improbably tall cityscape – not a large mission, but it is all about cramped, vertical areas. It is followed by a tomb-robbing mission of striking originality and menace. It is full of memorable, well-constructed puzzles, and, like good scary missions, puts you in the way of frightening things, some stock, some carefully customised. Even a group of zombies can be made terrifying with a few tricks, and the cover of dense darkness. This is all well realised, just like the visual storytelling and the readables. Sometimes, the gameplay becomes frustrating. Avoiding patrols becomes a slog sometimes. It is also one of those “dense” missions which need dedication and attention span, and it can’t be played as a small distraction. You have to be involved and dedicated, and it is a tiring experience. An ordeal. But I mean that in the best way. 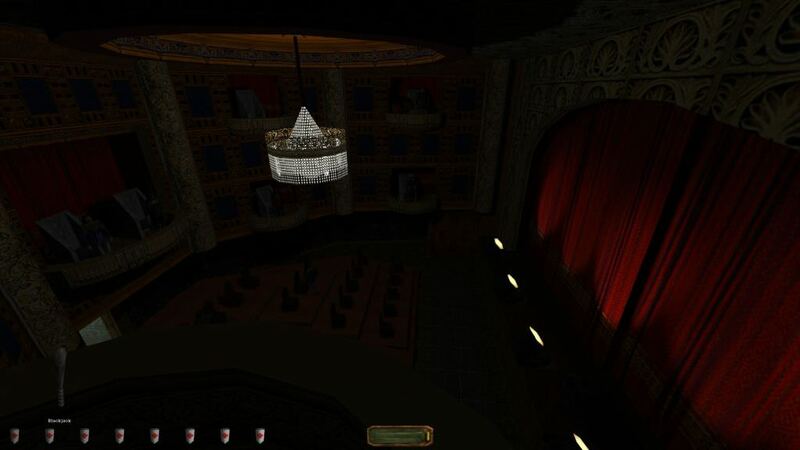 What appears to be a throwback to the style of early Thief FMs (“I have just learned about cylinders, so I am making a circular window”) unfolds into a much broader puzzle mission. These are almost all logical (although opening up new portcullises from a distance does not really feel fair), and you are provided with the clues not to make them too frustrating. Some are highly original, going beyond the well-known ideas found in the base game. On the other hand, since you have to solve all puzzles to complete the FM, it is also quite linear in the way it progresses, concealed by backtracking which becomes a chore after a while. The same goes with the AI – at first scary, they eventually become tiresome speed bumps. It is not on the immersive side (and does some rather unpleasant things to the Thief canon), but the puzzles are just very good. I have a simple job planned for this evening. Break into a boxy mansion, steal another fat nobleman's priceless trinket, and leave quietly. Welcome to Dromed! An obvious newbie mission with obvious newbie architecture. You have to start somewhere! It is boxy and out of scale, but there are already details like doorframes and windowsills, and different locations are starting to take on a personality, or getting lit up in interesting ways. The major roadblock is a T-shaped corridor on the lower floor: flooded with electrical lights, and patrolled by three AI, it would work if it was lit by torches, but becomes a chore to sneak by as it is. There is a puzzle that’s quite well done, and the backstory, while a meme, is well realised. Ever wondered how much easier it’d be to go from The Overlord’s Fancy to Reuben’s mansion without getting lost in those damn sewers? Wonder no more! It turns out the aboveground route is shorter, easier, and goes through a much more pleasant neighbourhood – the posh quarter above the seedy underbelly. 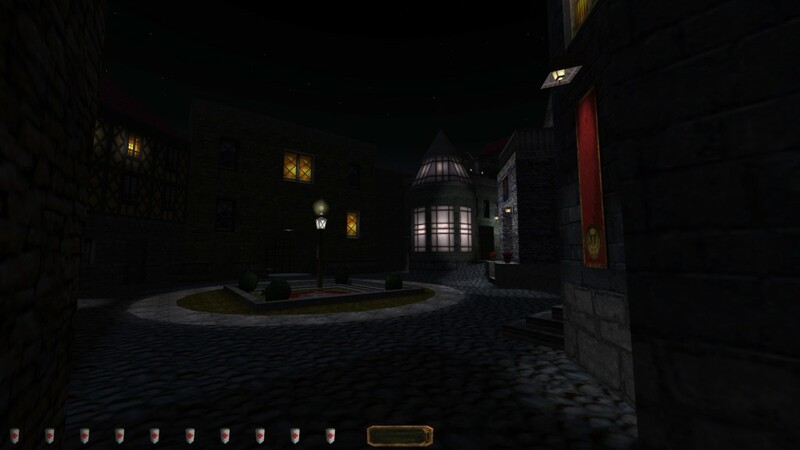 It is an atmospheric, elegant-looking city mission with one focus point: Reuben’s mission, somewhat touched up to look better, but otherwise leaving it familiar. 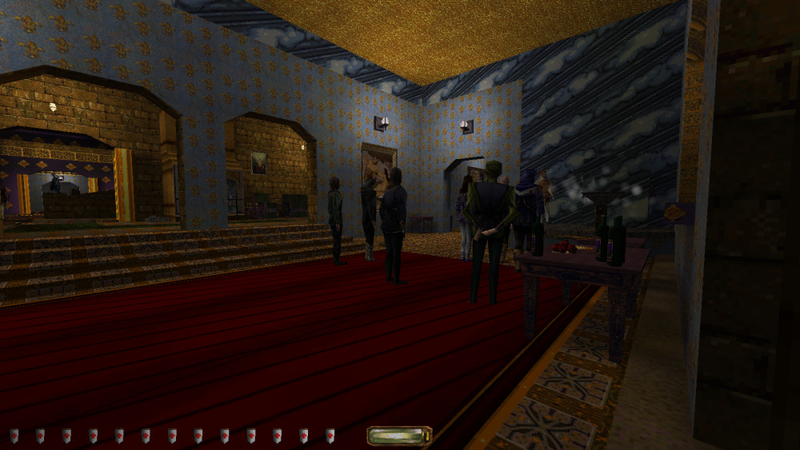 Something is still off about the place, helped by remarkably well-fitting ambients. Eerie. The mission has more places to explore, with a whole lot of loot for the taking, but lacks a little direction – extra objectives for the higher difficulty levels would not have been bad. Colour light in a Thief 1 mission would be absolutely haram, but here, it looks fairly good, with bluish moonlit streets and colourful interiors. Clearly the best “A Wizard Dun It” map since the original Widow’s Ire, this mission doesn’t delve too deeply into backstory, but delivers in spades when it comes to gameplay and atmosphere. Rather, it follows the rules of environmental storytelling: the location itself, a ramshackle and labyrinthine “wizard’s castle”, tells its own stories as you explore it. The place is irregular and maze-like, but never backs you into a corner: there is an astounding number of ways through the place, taking you through hallways, back rooms and dark oubliettes. (It is fun that a shop item buys you extra access through the complex). There are multiple access points and multiple exits for the crucial areas, all subtly different in the challenges they pose. Along the way, the puzzles you will find are fantastic, but well rooted in Thief gameplay, and flow very naturally. The stock resources are also admirably customised, perhaps nowhere better than in the castle’s eerie, off-key catacomb system. All in all, this mission is a triumph, not just featuring a lot of smooth, well-tested design, but giving you something of the wonder of Thief as we first got to knew it. It is not quite “The Sword”, but the Lewis Carrol is strong in this one. A fan mission that starts deceptively simple, and turns into a fun ride through Thief’s themes – from the rational world towards the irrational, all the while upping the difficulty level. As a three-author collaboration, it gains a lot of variety and original ideas, but also suffers from a few unpolished corners and quality differences. Where it is good, it is very good (its thief-inhabited caves and tombs are to die for). Fortunately, even its weaker segments are carried by the strong gameplay and enjoyable exploration. It is stealth done right, with a good rhythm of hiding spots and danger areas. Dodging around the mobile AI while picking up imaginatively hidden loot is the best aspect of the mission. There is a feeling of dungeoneering throughout. The use of stock resources is creative without being overdone, and the few changes made to some AI make for a good challenge. 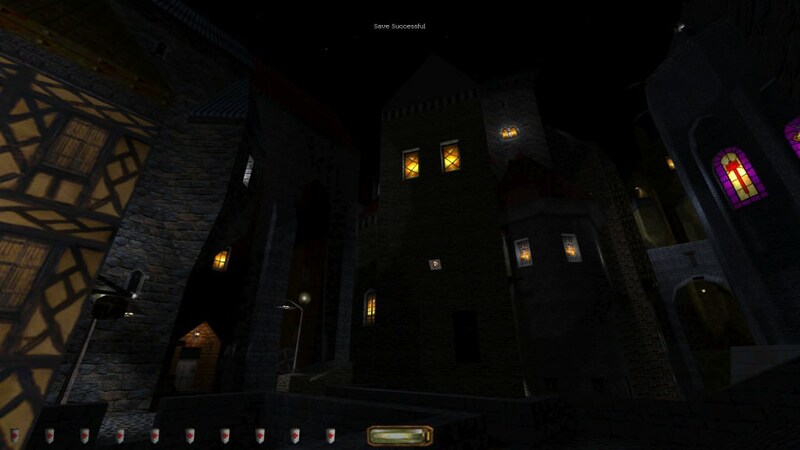 This FM returns players to the undead-haunted Sealed Quarter – with a visual update. Many of the stock resources are altered, showing dirt, decay, and moss; the architecture is complex and chaotic. 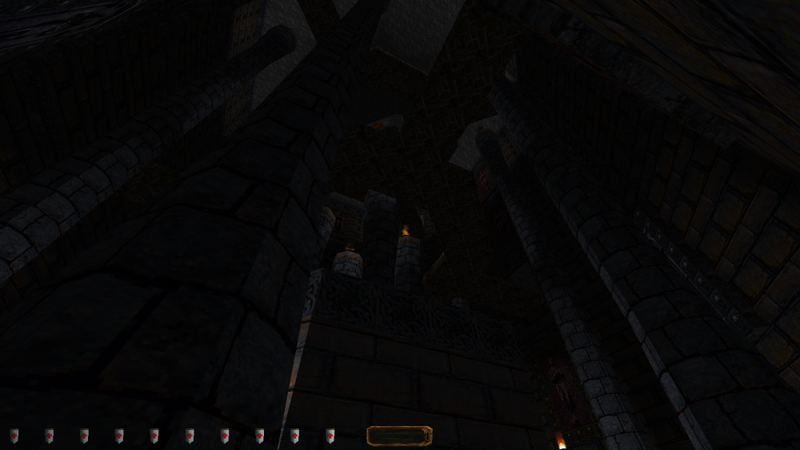 Likewise, many existing Thief loops have been repurposed in creative ways for a unique, oppressive soundscape. These changes stretch the contest guidelines a little (although they don’t break them): what we get is certainly not vanilla, but perhaps vanilla’s evil twin. The action centres on exploration, with focus points where tense, tight sneaking challenges are featured. There are surprisingly many secret places you can discover given the level of detail; an optional objective gives you a contract to recover a bunch of precious objects from them. The writing is flawless, featuring small storylines about the quarter’s downfall and those who still visit it. Custom player comments and well-done conversations are also featured. 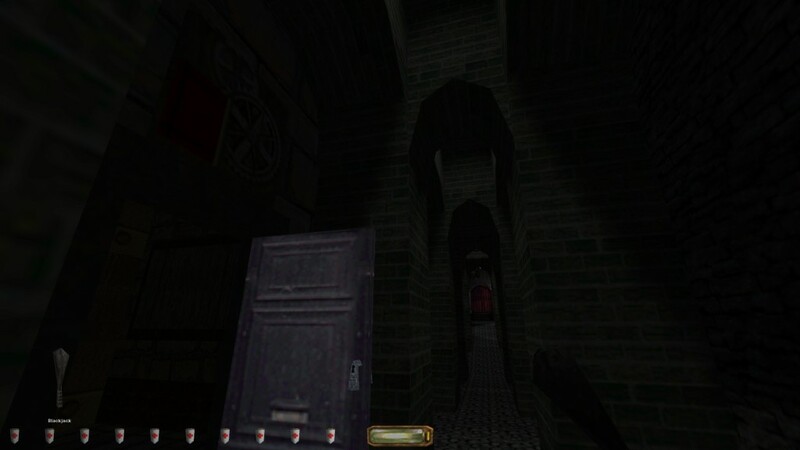 The mission’s minor gameplay problems stem from its visual clutter – it can already be hard to “read” a place with the complex architecture, and this issue is compounded by the multitude of props onscreen. The main risk, in fact, comes from getting snuck up on by critters while observing your surroundings. Otherwise, it is an impressive, moody and fun FM. A short, grotesque speed-build. 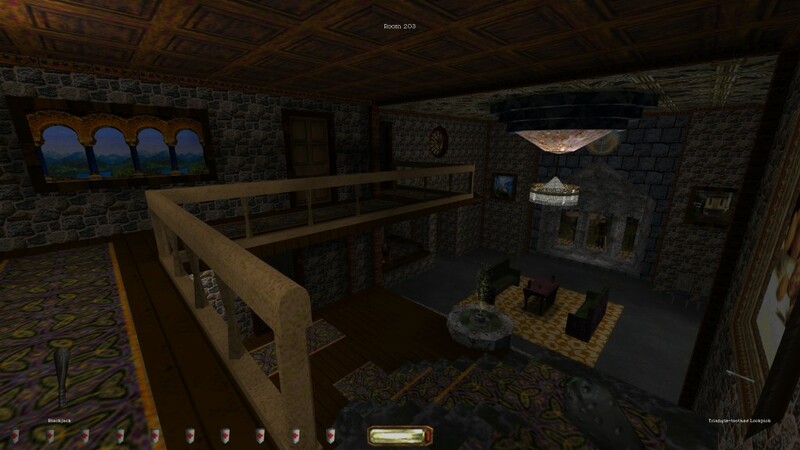 This twisted mansion mission – a few rooms, really – manages to cram in more gameplay and discovery than its physical size might suggest. The theme is well realised, with a visual imagination – although some misaligned textures and other minor annoyances crop up. I am conflicted about the gameplay. Sneaking is tricky for ghosting, and offers a reasonably hard challenge for skilled players, but has just a little too much tile abuse for comfort (which slows down play substantially). Structurally, it is a keyhunt. However, the mission is full of inventive little details, and has a brief but bizarre story that’s quite fun.